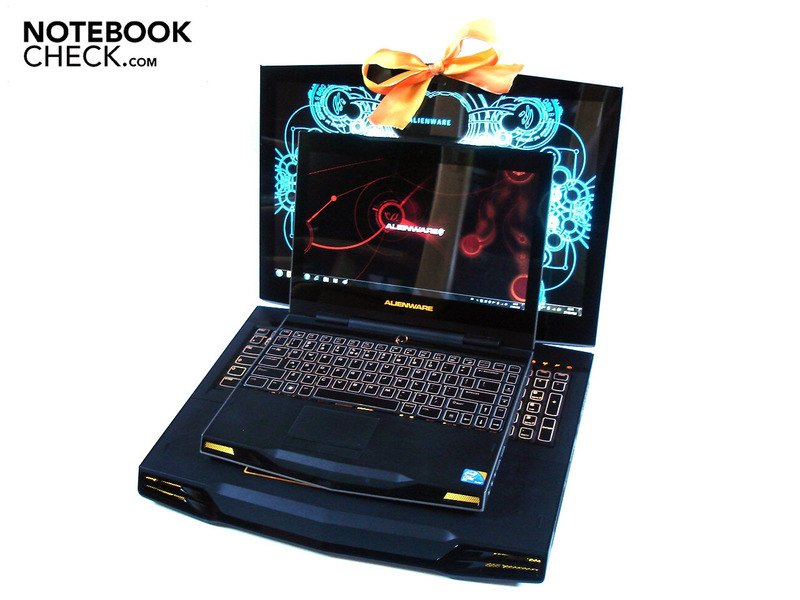 Until now, Alienware has rather been known for its big and powerful gaming notebooks at a premium price. Now the manufacturer tries itself on a small 11.6 inch performance midget that is already available for less than 1000 euro, and which would like to show off with a Core 2 Duo SU7300 and a GeForce GT 335M. We've checked if the given performance can keep up with the full fledged gamers, even to a part, in our review. 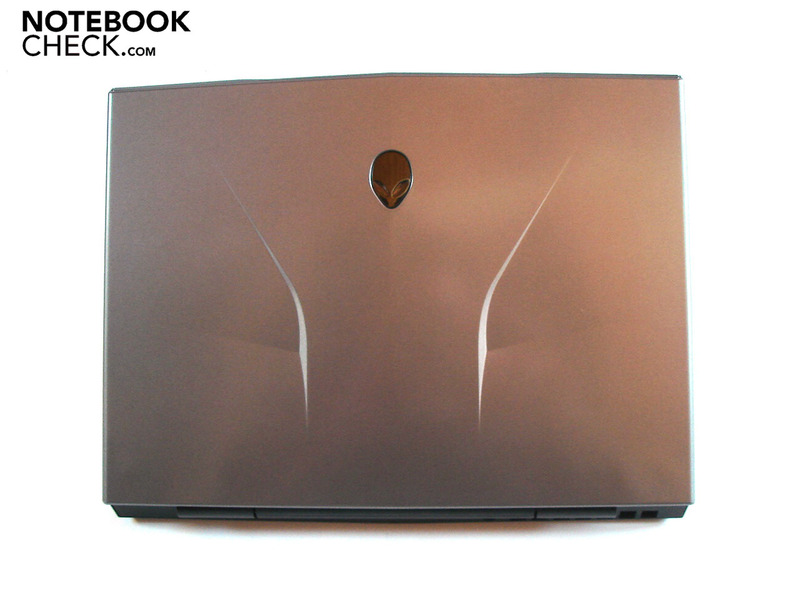 If you have a look on Alienware's website, you'll only find just three different notebook models. That such a limited choice doesn't necessarily mean that it's bad is proven by the high rating for the M15x and M17x models, which we have already reviewed. Now we've taken the newest and smallest sprout of the product family, the M11x, and sent it over our test course. But before we take a closer look at the details, we'll briefly deal with the M11x's configuration, which every customer is faced with before buying. 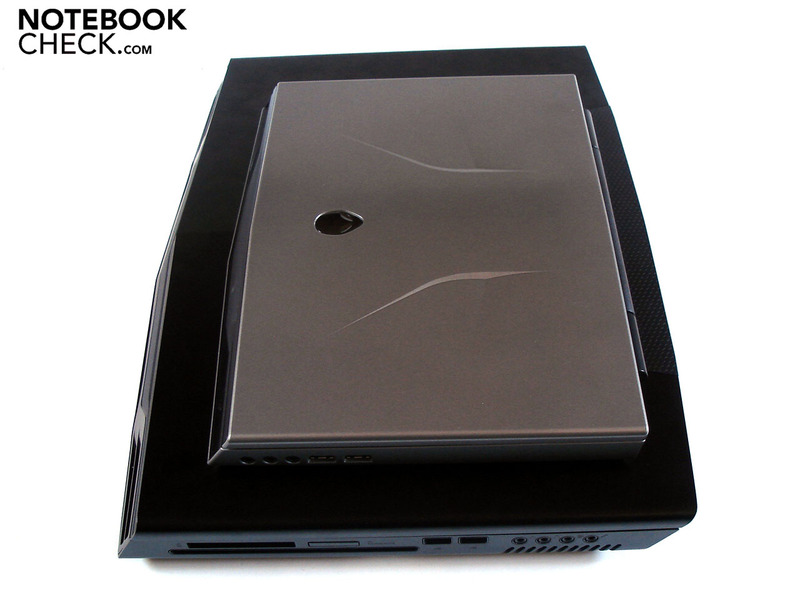 As it is usual for Alienware, there are various colors available for the case. 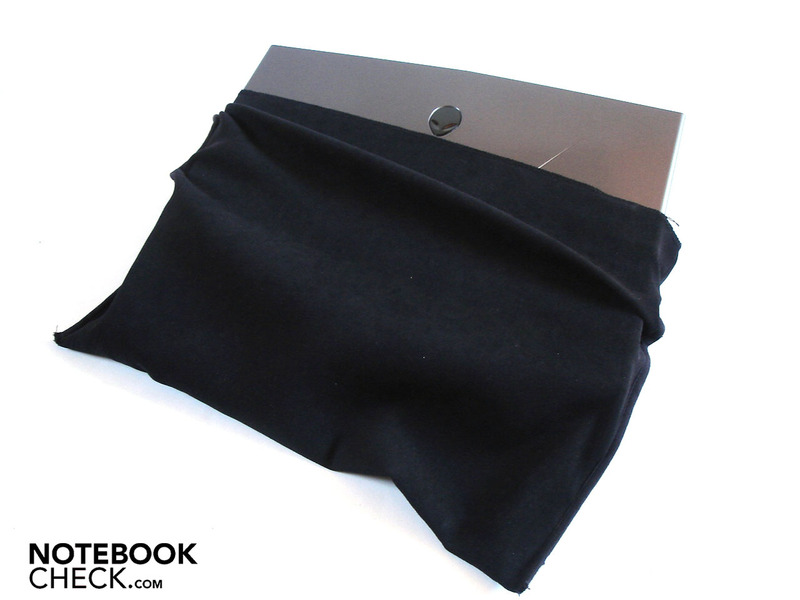 You won't find the known red of the M15x and M17x, but you still have the choice of black and silver. Then you'll have to make a decision about the processor, where two alternatives for the configuration are also available. This will either be a Pentium Dual Core SU4100 with 1.30 GHz (2MByte L2 cache and 800 MHz FSB) or a Core 2 Duo SU7300 with 1.3 GHz (3 MByte L2 cache and 800 MHz FSB). Both Intel CPU's are based on the Penryn core and are very power saving due to a TDP of 10 watts. They aren't exactly one of the most efficient processors because of the low clock rate, though. 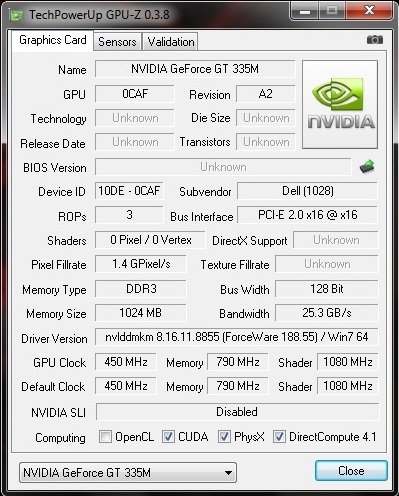 In return, the graphic card, GeForce GT 335M from Nvidia with a 1024 MByte GDDR3 VRAM, is significantly stronger. There is currently no alternative graphic card available for the configuration. 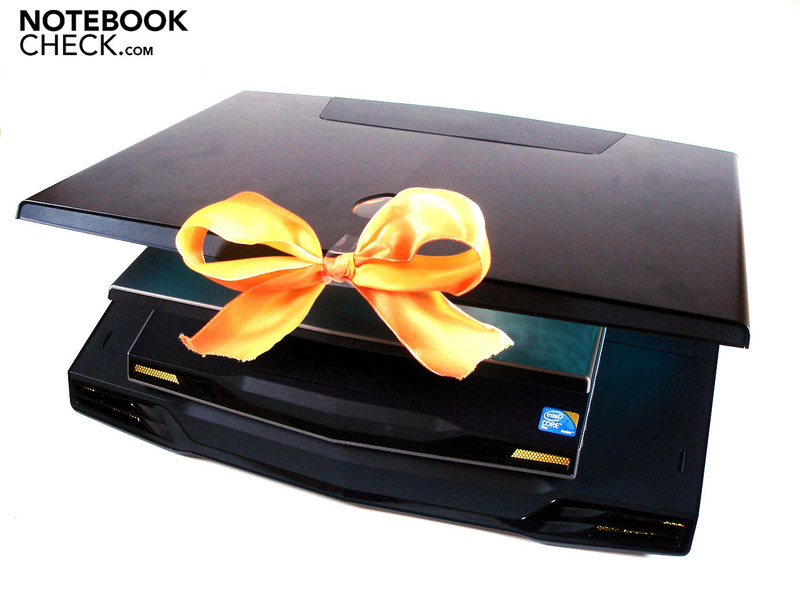 In return, you have more freedom of choice for the RAM and hard disk. 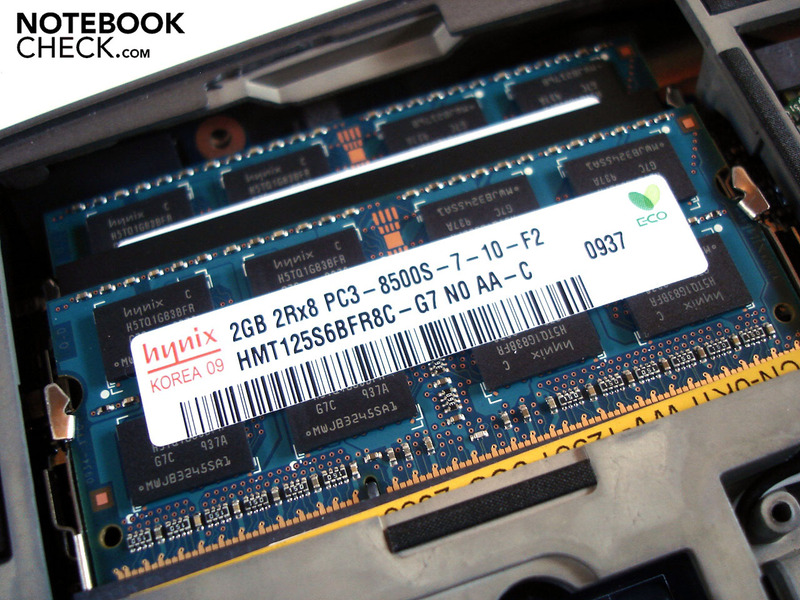 The DDR3 RAM ranges from two up to eight GBytes, the hard disk capacity from 256 GBytes (SSD) up to 500 GBytes (HDD with 7200 rpm). The display and battery are, then again, fixed. Whilst the 11.6 inch display has a resolution of 1366x768 pixels, the (screwed) eight cell lithium ion battery runs with 63 Wh. And lastly, the 64 bit version of Windows 7 is used for the operating system. Our prototype with a Core 2 Duo SU7300, a 4 GByte RAM, 500 GByte HDD and Windows 7 Home Premium, for instance, adds up to 953 euro. The hinges of the M11x protrude a bit out of the case's back, but doesn't interrupt the design in any way, in our opinion The hinges don't give reason for reproach in terms of functionality. They are stable and don't allow the case to teeter, but don't do their job silently. You'll notice that Alienware didn't want to forgo on the extensive connectivity of its bigger gamers in the M11x. 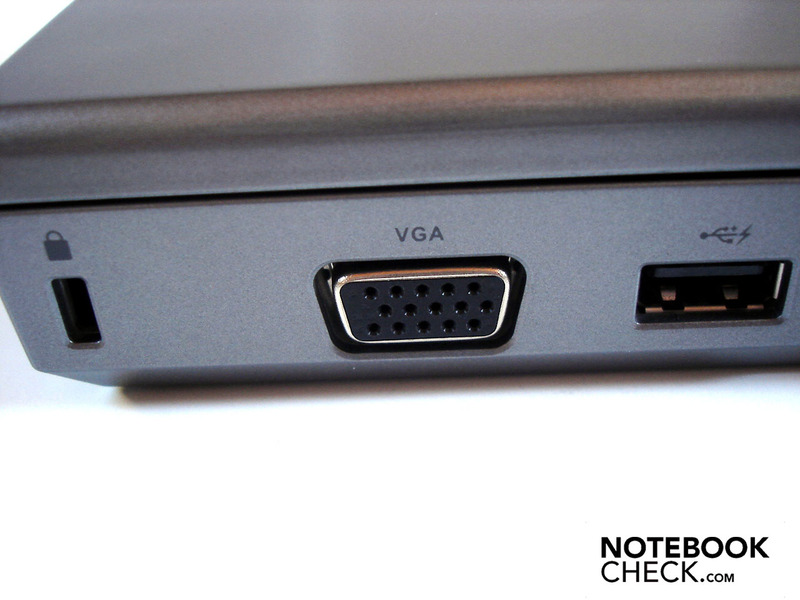 So, you'll find three monitor connections just on the left, with VGA, HDMI, and display port. You equally don't have to live without the "usual suspects" like a cardreader (MMC, SD, MS, MS Pro), RJ-45 Ethernet LAN (not gigabit!) and a Kensington lock. 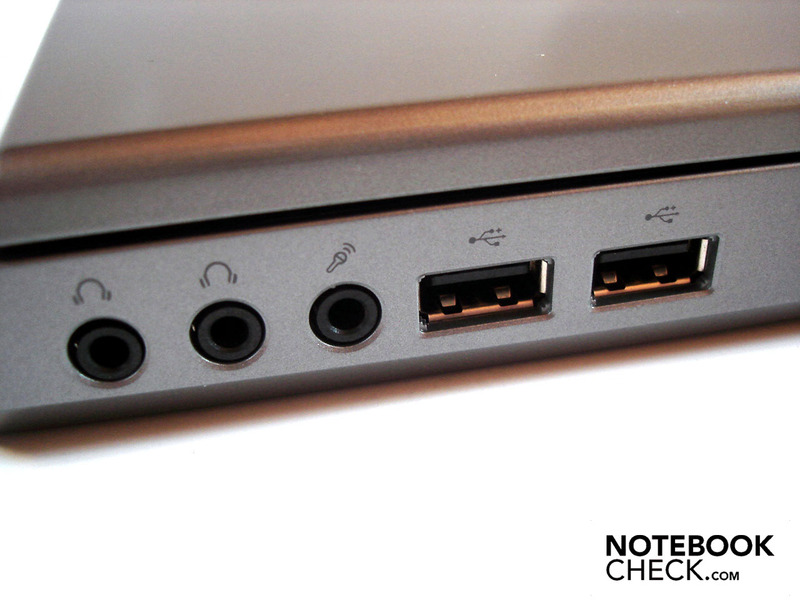 External devices, like mice or hard disks, can be connected to the Firewire and the three USB 2.0 ports (one left, two right). 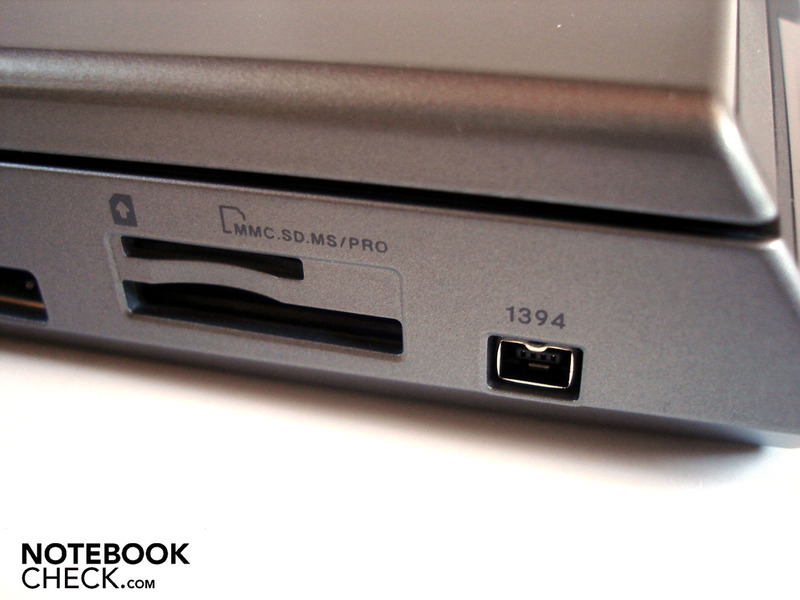 The interface configuration is rounded off by three audio sockets (headphone / line-out, headphone / line-out, microphone / line-in) The M11x also has a WLAN card (Dell Wireless 1520 Mini) and a Bluetooth module (Dell Wireless 365) as wireless options. Lefties likely won't be as pleased about the crowded connection compilation on the left, but there is actually enough place for cables due to the M11x's small size. In our opinion, the connections on the right have been placed too far front. 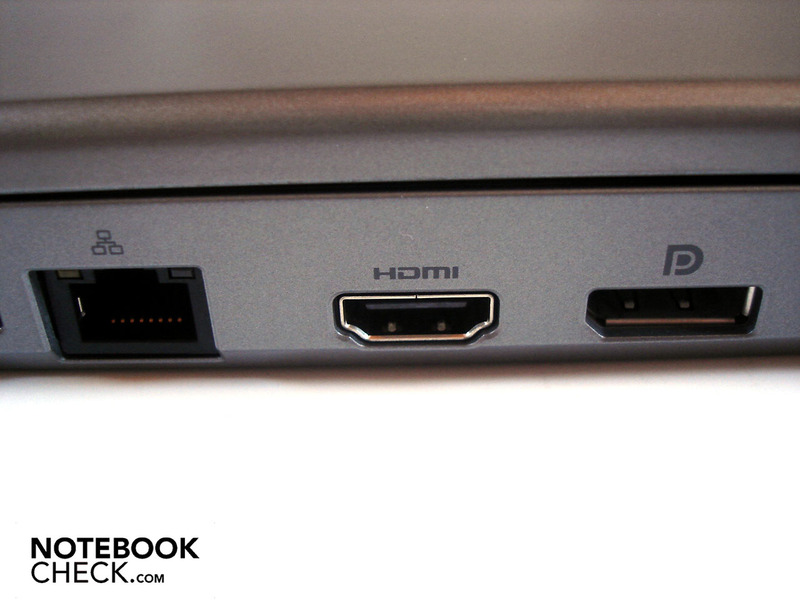 Except for a fourth USB 2.0 port or an eSATA/USB 2.0 combo, we are more than content with the given range and variety. 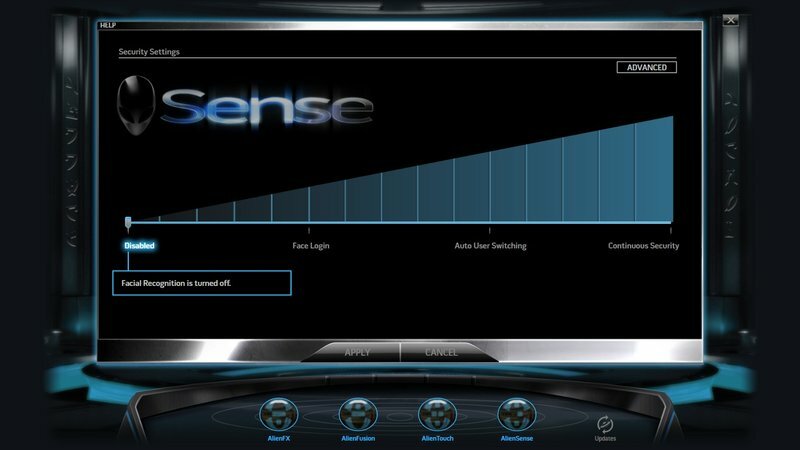 Fortunately, Alienware has refrained from stuffing the M11x's system with unnecessary and resource devouring programs and tools. 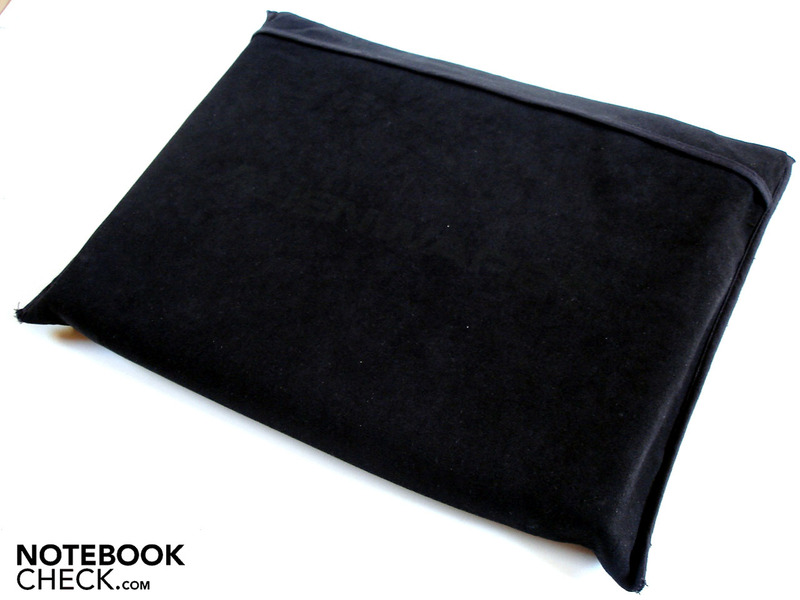 This has the advantage that you already have an agreeably fast notebook in front of you as a buyer. Naturally, the venerable Command Center shouldn't be left out. 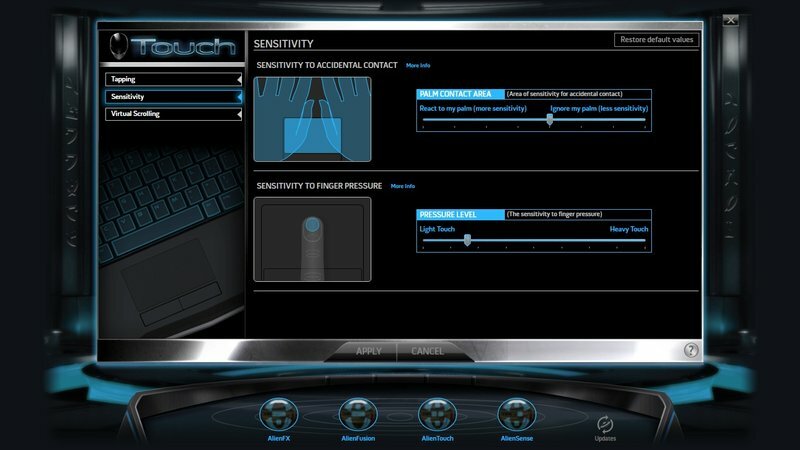 Numerous, partly Alienware exclusive, functions lurk behind the chic, and intuitive in use, Command Center. 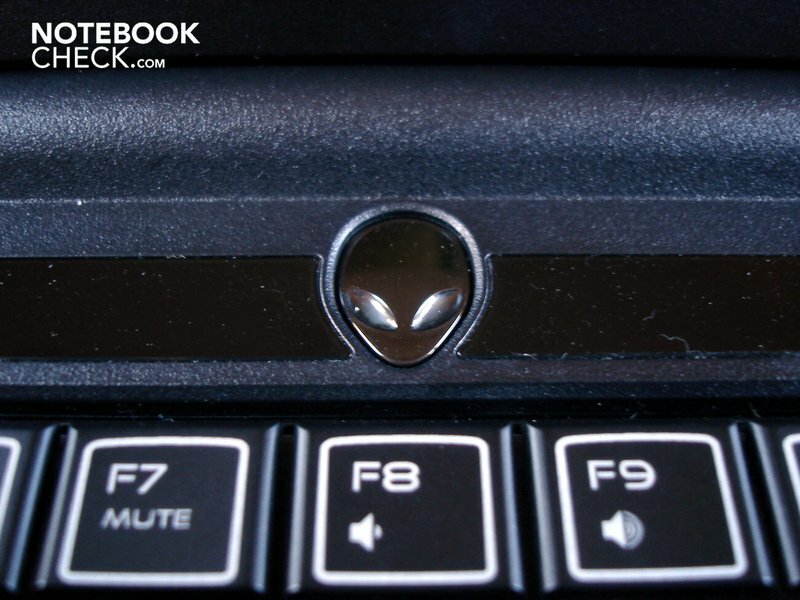 Among other things, the detailed setting of the extensive illumination (Alien FX), the touchpad setting and its (optional) scroll area (Alien Touch) and the (also personalized) energy savings settings (Alien Fusion). A menu for changing security settings (e.g. Alien Sense for facial recognition) finishes it off. We've received our not final pre-series model in an unembellished white box and, except for a black velvet cover and the mandatory adapter with cable, there weren't any supplies included. Due to the limited dimensions, Alienware - not very surprisingly - had to omit a numerical block and the key size has been overall lessened. 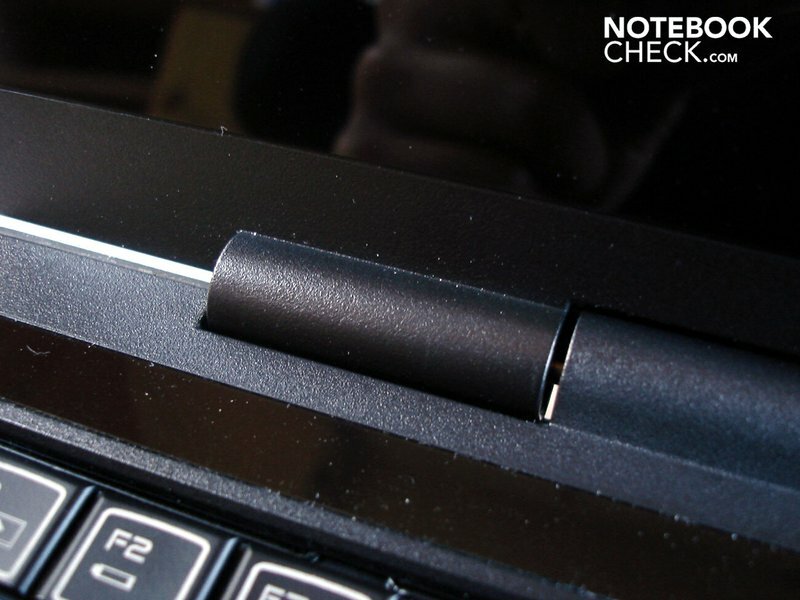 Therefore, the keys are only about 15 mm of size and not 18 mm as in bigger notebooks. 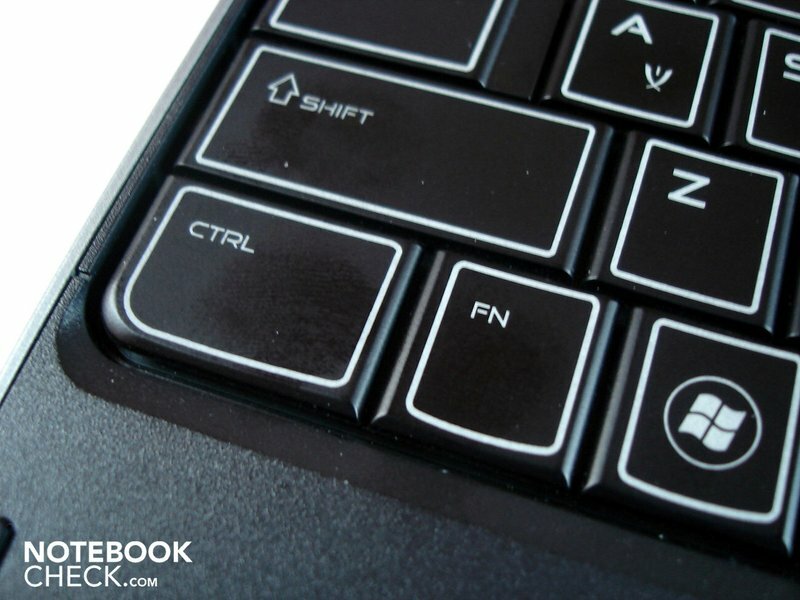 If you type quickly or have bigger fingers, you'll hit the wrong key every now and again. But, you'll get along with it after an accommodation period. 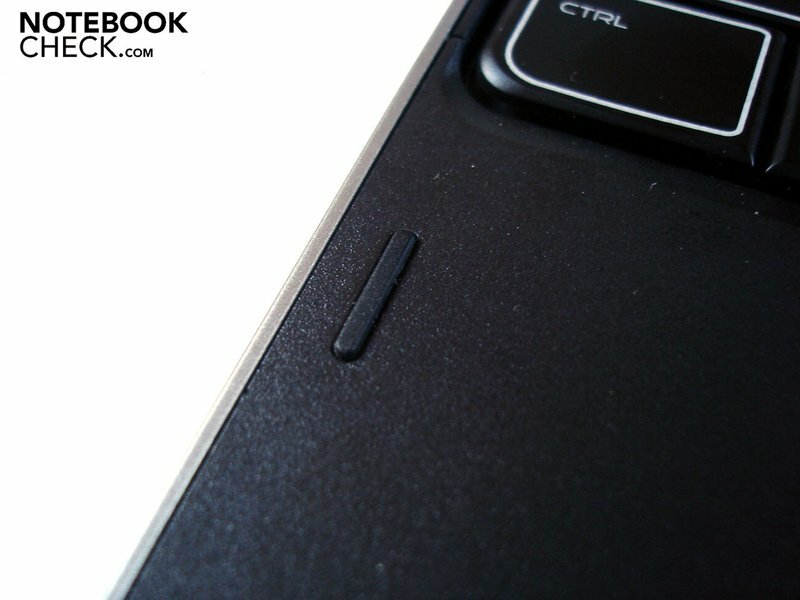 Nevertheless, we weren't able to accommodate to the extremely narrow arrow keys of about 12 mm. 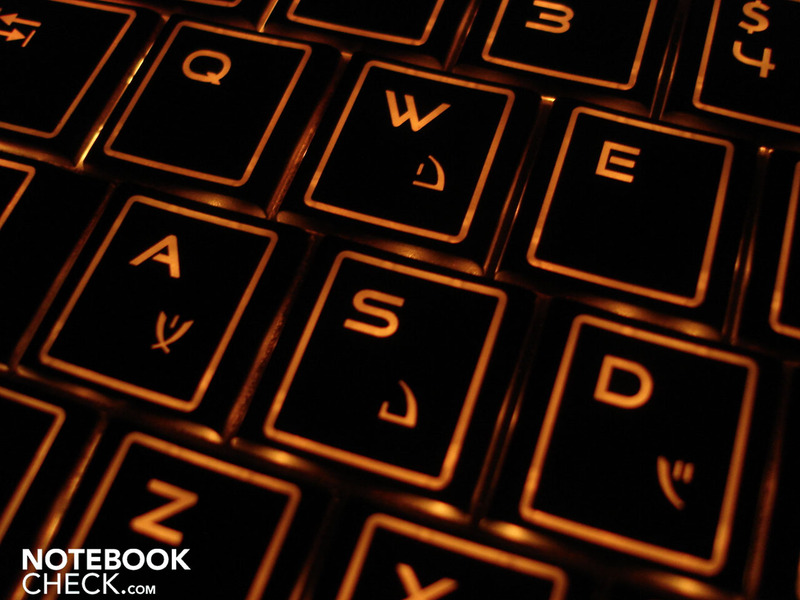 We can't say much about the layout, since Alienware has sent us a prototype with an English keyboard layout. But we can, however, evaluate the stability. 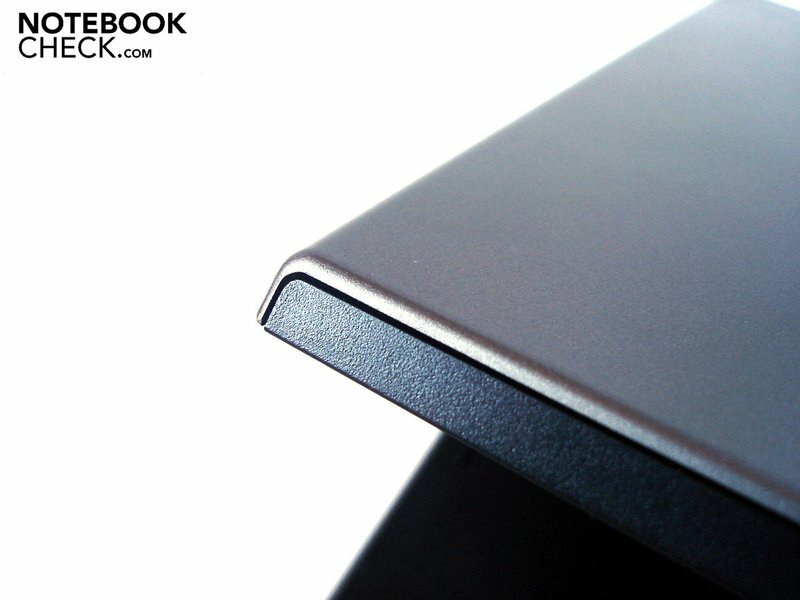 The M11x's keyboard stays firm and doesn't bend anywhere on its surface even under stronger pressure. The key pressure and stroke are impressive, as they turn out to be crisp and precise without exception. 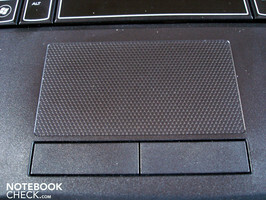 The touchpad has been placed a bit too far left, but is alright in terms of size. The user receives the necessary feedback due to it being slightly submerged and having a roughened texture. The reverse side is, however, its not perfect gliding traits. 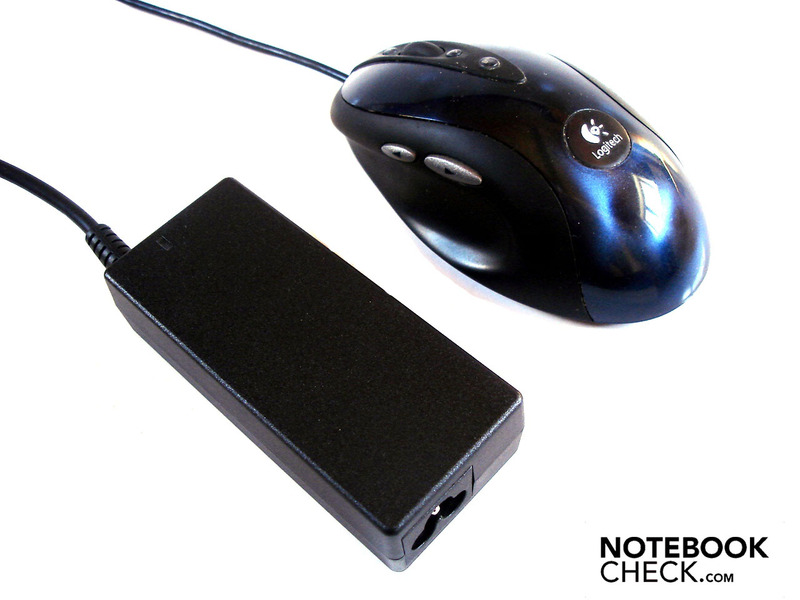 Finally, both mouse keys are convincing with a pleasantly soft pressure feel. However, they emit a very clattery trigger noise and have a (too) long stroke length. 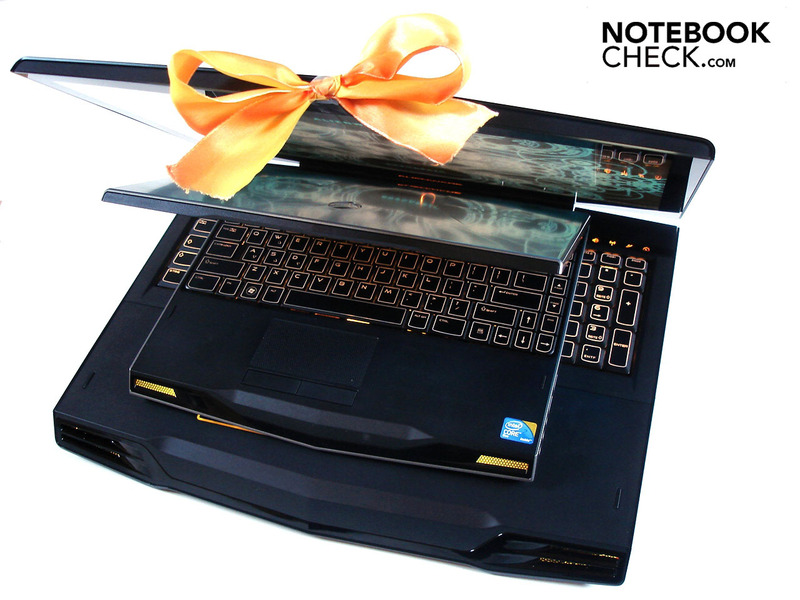 We are actually used to good to very good displays from Alienware. But just in this regard, the M11x is disappointing with its 11.6 inch display and a resolution of 1366x768. Thus, the illumination of 80% is still quite good. A contrast of 217:1 and a black value of 0.81 cd/m2 can at most be called adequate. The biggest point of critique is the insufficient brightness of 157.7 cd/m2 on average, though. Whilst office tasks are still okay in such a low brightness, dissatisfaction about the lacking luminosity will turn up at latest during movies or gaming. The dark areas, which even drift off into gray, caused by the not optimal black value intensify the already poor impression. Merely the colors look vivid and natural to an extent. The combination of the display's low brightness and the intensive glossy coating is just devastating for the user. 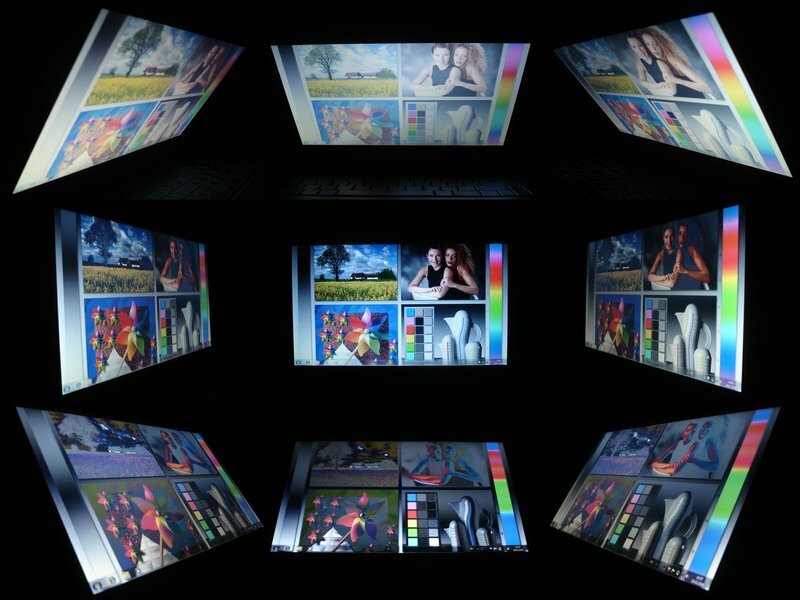 Thus, extreme reflections can already turn up indoors, which result in not being able to recognize anything on the display (especially dark scenes in movies or games). Above that, you shouldn't even think about using it outdoors. Finally, the viewing angle stability isn't very convincing, either. The viewing angles are still acceptable to an extent on the horizontal plane. In return, a faster image change turns up on the vertical plane. Thus, the given display quality is overall rather average. We'd definitely recommend connecting an external monitor for a longer stationary placement. 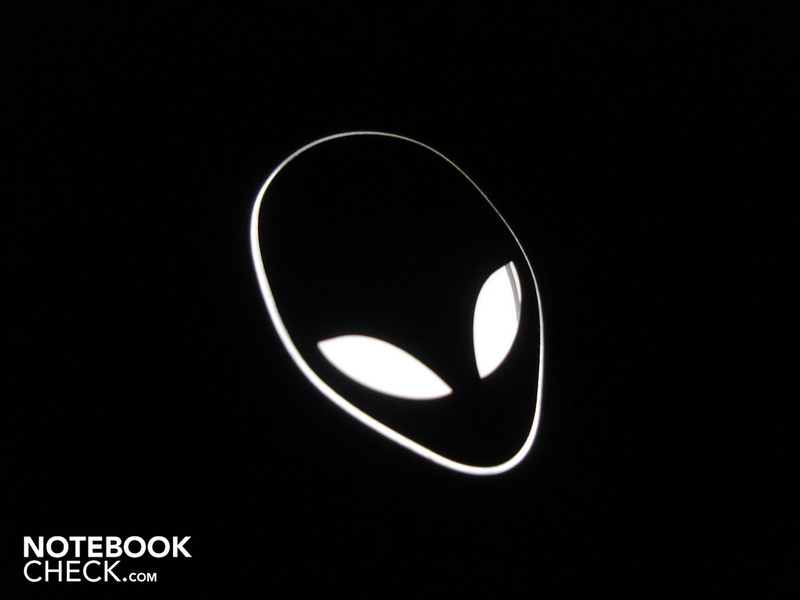 Alienware is unexpectedly modest in regards to the processor and builds in an energy saving dual-core CPU, which normally only has a clock rate of 1.30 GHz, with the Core 2 Duo SU7300. But then again, that was probably not enough for Alienware and therefore the CPU has been overclocked to 1.60 GHz ex-factory. The advantage of the SU7300 is the very low power consumption with a TDP of just only 10 watts. Current Core i5 and Core i7 models often consume three to four times as much with 35 or even 45 watts. The Core 2 Duo isn't really "state-of-the-art" in view of technology and its features, but it doesn't have to hide itself (yet). The manufacturing process of 45nm (currently 32nm), an L2 cache of 3 MBytes (in dual-cores up to 6 MBytes) and a FSB of 800 MHz (superior Core 2 Duos run with 1066 MHz FSB) is still very impressive. 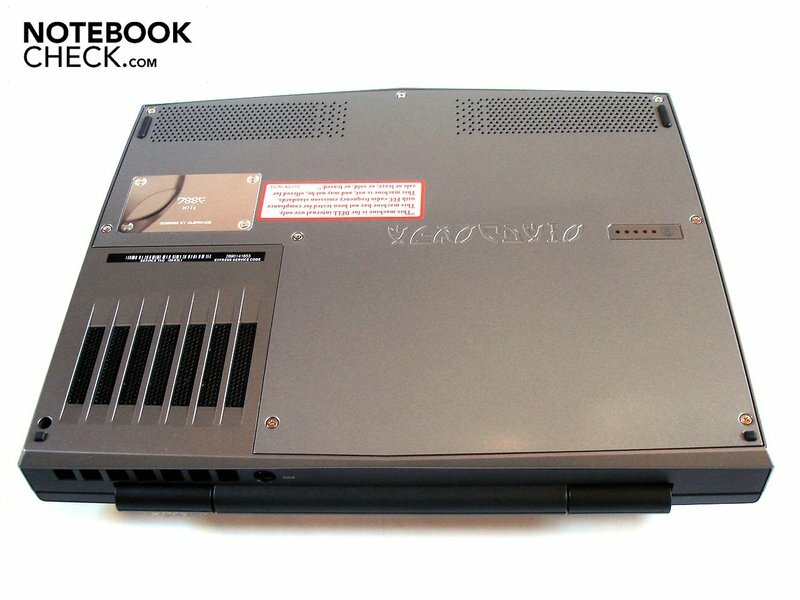 Unfortunately, the Core 2 Duo SU7300 has to do without the practical turbo mode, which provides for an automatic CPU overclocking, as well as the hyperthreading technology, which is responsible for simulating additional CPU cores. 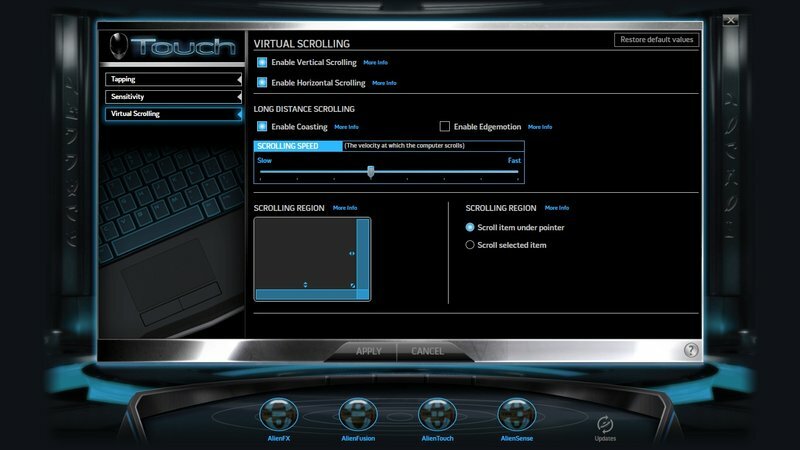 The SU7300's performance is to be classified in the starter category and contradicts Alienware's gaming claim to a certain extent. We've checked if the fairly weak processor has a very negative impact on the gaming performance further below. Because the SU7300's temperatures still have a lot of room upwards (see "Emissions"), we wouldn't be surprised if Alienware would offer stronger processors in future. And in fact: As Alienware/Dell revealed upon inquiry, the M11x's thermetic isn't yet exhausted by far, so there is definitely a possibility of stronger processors being used. However, we just can't imagine (also in view of the battery life) that it will be a high-end processor with a consumption of 35 or 45 watts, but more likely CPUs with a TDP with a maximum of 25 watts that will be use. 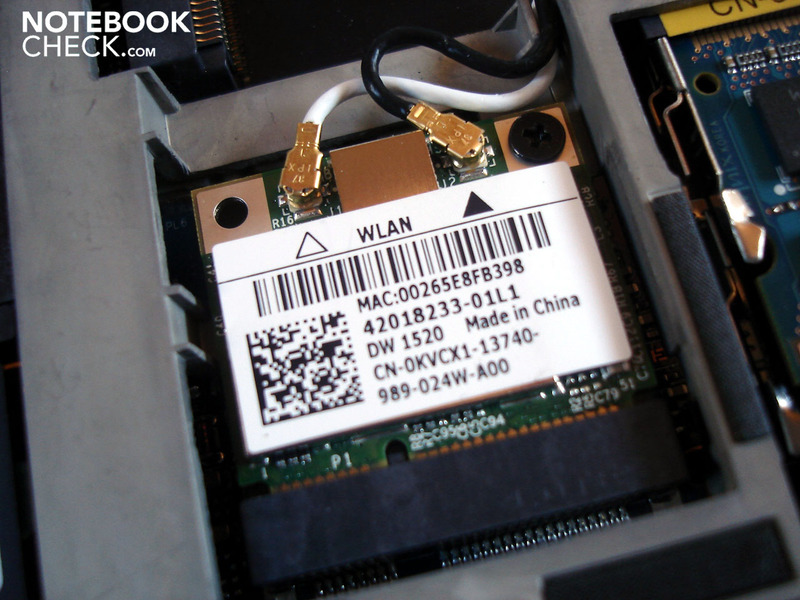 Amongst others, Core 2 Duos of the P-range, in a field of P7350/P7450/P7550 with 2.00-2.26 GHz (1066 MHz FSB, 3 MByte L2-Cache). But even a few processors of the, actually energy hungry, Core i7 range serve with a TDP of 25 watts. 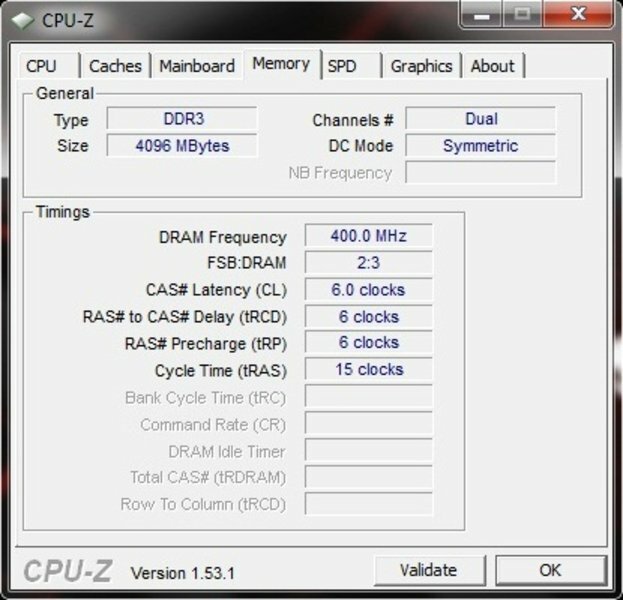 That would be the i7-620LM with 2.00 GHz and the i7-640LM with 2.13 GHz (both with a 512 KByte L2 and 4 MByte L3 cache). 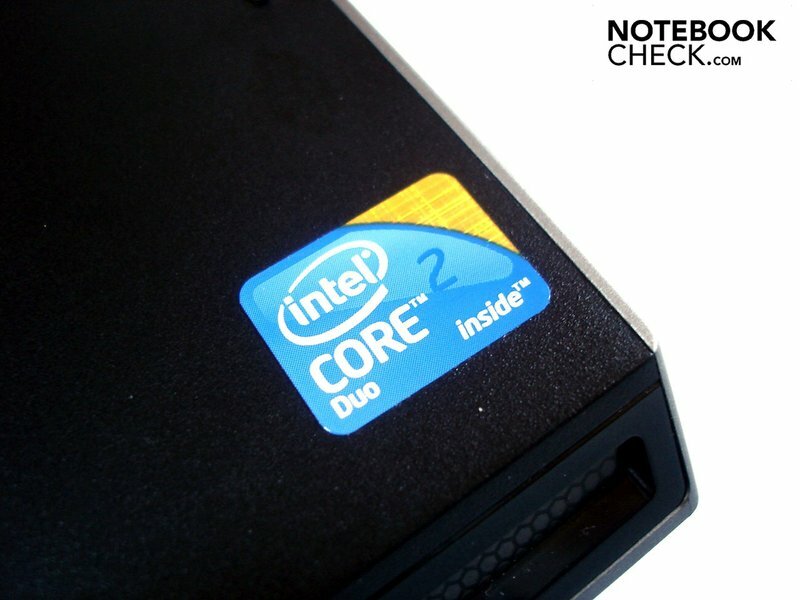 Further possibilities might be the i7-640UM with 1.20 GHz and the i7-660UM with 1.33 GHz (again both with a 512 KByte L2 and 4 MByte L3 cache), which Alienware wouldn't have to overclock due to the turbo mode (up to 2.26 GHz) and they are even more modest with a TDP of 18 watts. 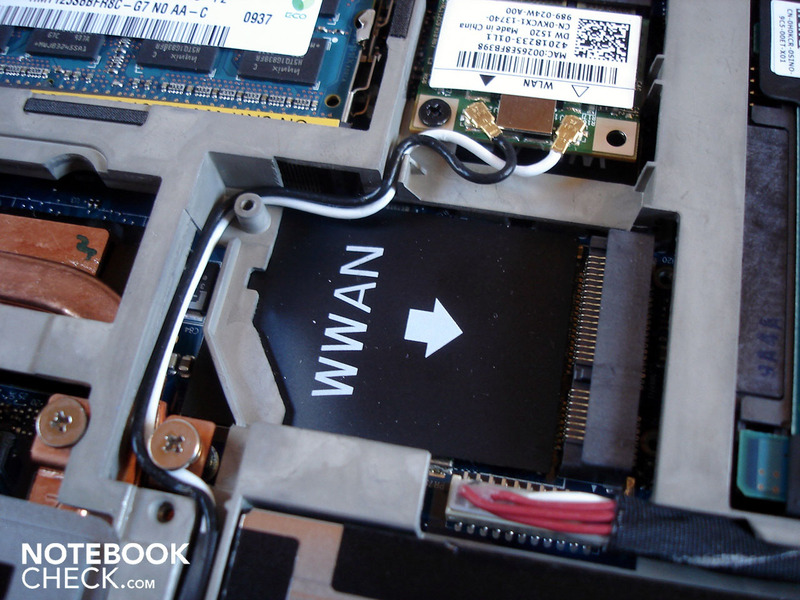 However, a new mainboard, which can cope with the Core i7 architecture, would be required. 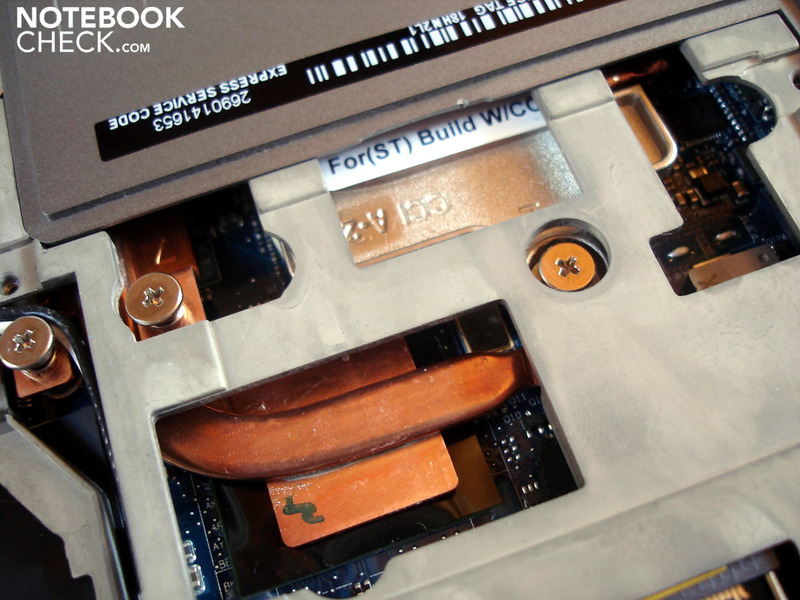 Currently, a limited GS45 chip set is used on the Core 2 CPUs. "Two hearts beat in my breast". 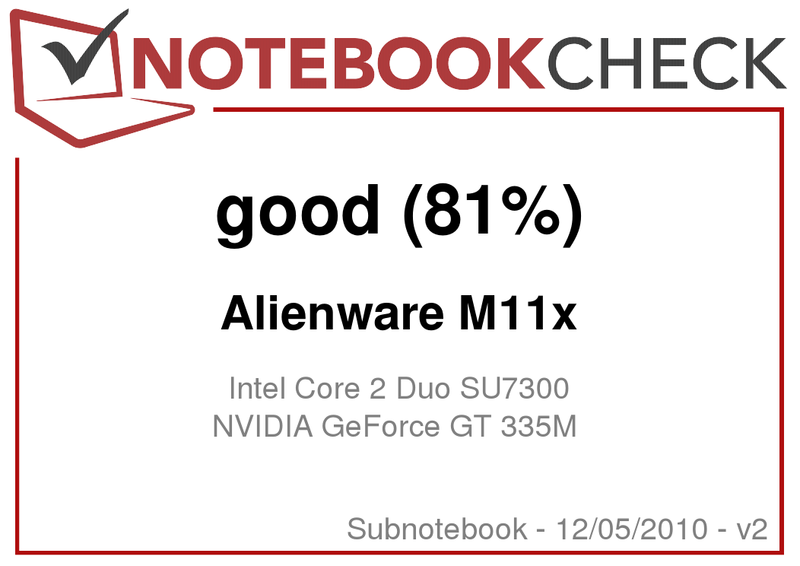 The Alienware M11x would likely say something like this about its graphic cards, because the subnotebook also has a dedicated GeForce GT 335M from Nvidia, aside the integrated Intel GMA 4500MHD. Whilst the GMA 4500MHD isn't very gaming capable and can only run older tracks in low detail levels, the GeForce GT 335M is far better suitable for games, as it is a mid-range graphic card. 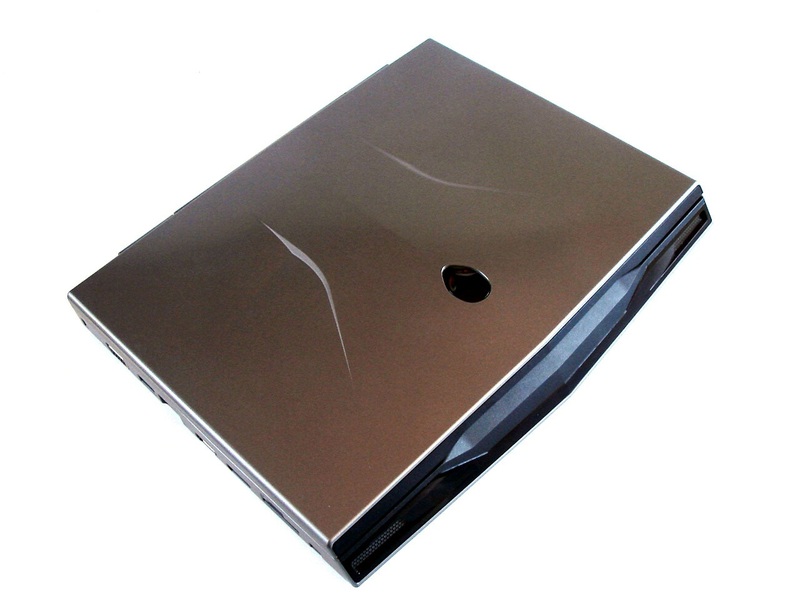 The GeForce GT 335M is ultimately a slimmer GeForce GTS 250M which has to do with 72 unified shaders and a GDDR3 VRAM. The memory has a total of 1024 MBytes, however because the tethered memory is only 128 bits, the memory band width turns into a bottleneck in combination with the GDDR3 VRAM. Modern games crave for at least a 256 MByte memory link with a DDR3 VRAM. 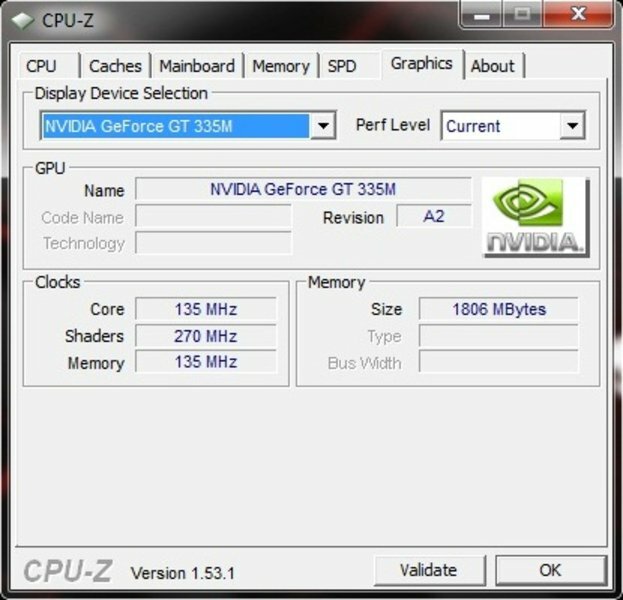 Apart from that, the GeForce GT 335M clocks with 450 MHz (core), 790 MHz (memory) and 1080 MHz (shader). Additionally, the graphic card manufactured in a 40nm structure width supports DirectX 10.1, CUDA, and PhysX. Thanks to PureVideo HD , the CPU is also unloaded at computing high resolution video material. 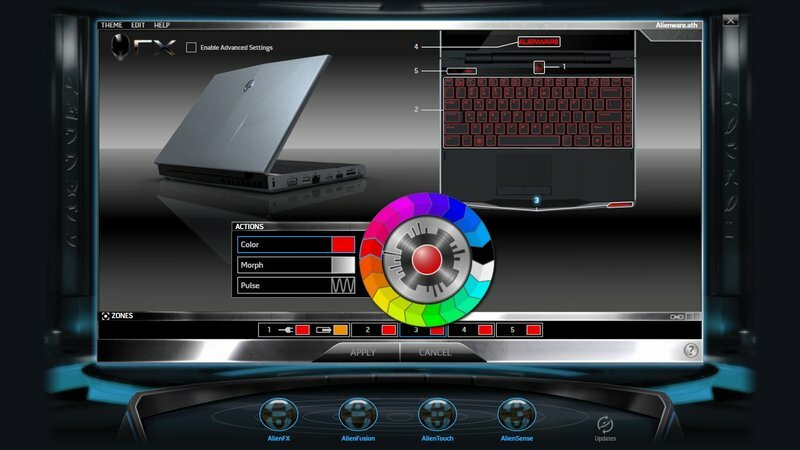 The M11x doesn't (yet) have the practical Optimus technology (see the review about the Asus UL50VF, for example), which switches automatically between integrated and dedicated graphic card, depending on the application. 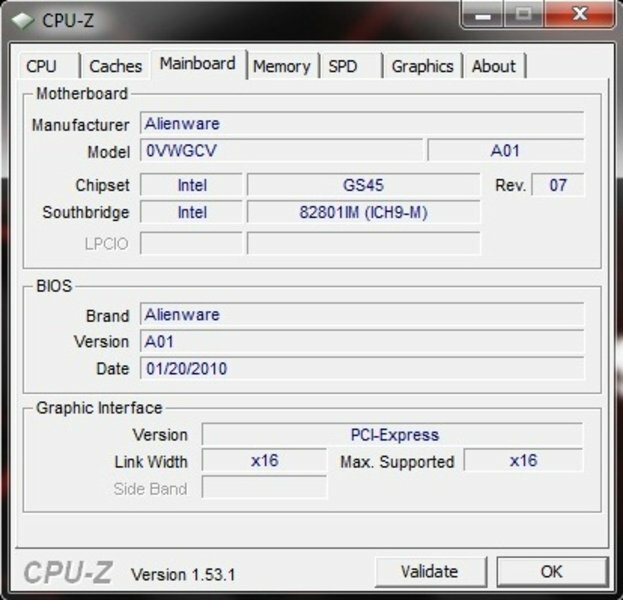 The user has to switch between the graphic cards with a button or key combination in practice. This procedure is very fast and doesn't even take a second. Impractical: Most applications have to be closed in order to execute the graphic switch. That is especially annoying when you are already gaming and you realize that you've enabled the wrong graphic solution. Short note: We have naturally executed the following benchmarks with the GeForce GT 335M and not with Intel's GMA 4500MHD. The Core 2 Duo SU7300 (1.60 GHz) provides rather average results in Cinebench R10. Only just 1686 points are achieved in single-core rendering and 3146 points in multi-core rendering. 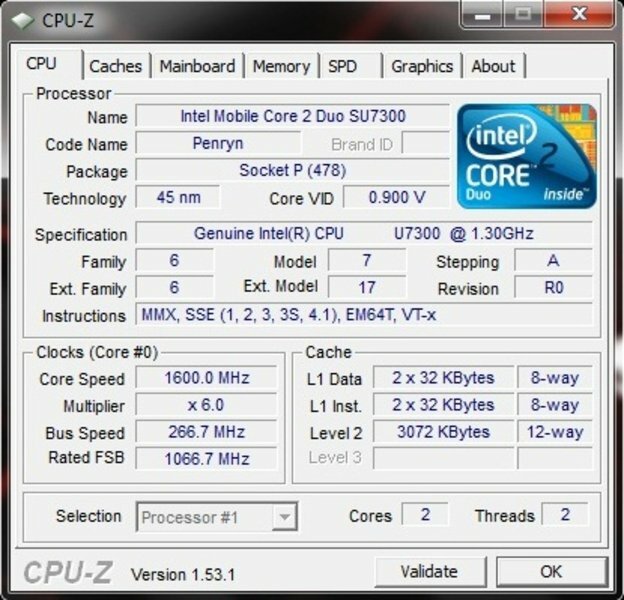 A Core 2 Duo P7350 (2.00 GHz) achieved notably higher rates with 2179 points in single-core and 4124 points in multi-core rendering. If the 64 bit instance of Cinebench is started, the SU7300's rates also increase as expected. 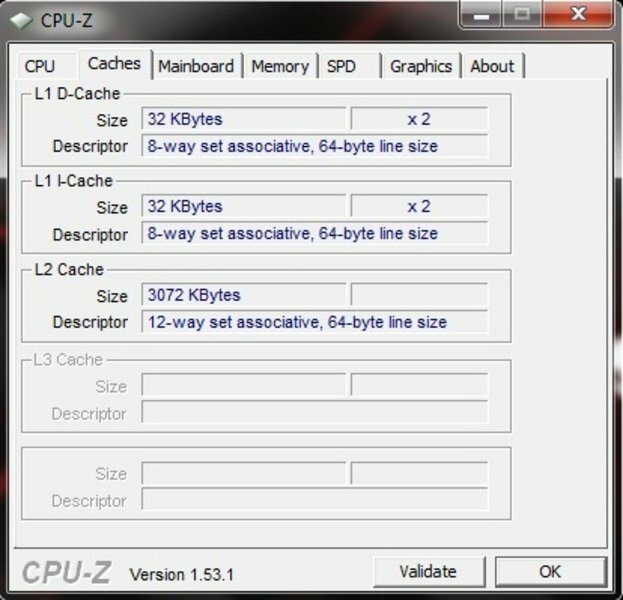 Then 1880 points are reached in single-core rendering and 3602 in multi-core rendering. The situation looks better in the graphic-biased benchmarks. Whilst the GeForce GT 335M reaches 9798 points in 3DMark05, it's 6462 points in 3DMark06 and finally 2697 points in 3DMark Vantage. In comparison: The popular and also DirectX 10.1 capable ATI Mobility Radeon HD 4650 exceeds the GT 335M considerably with 12609 points, at least in 3DMark05. The HD 4650 has to admit a slight defeat in 3DMark06 with 6394 points, just like in 3DMark Vantage with 2456 points. The 500 GByte sized hard disk comes from Toshiba, rotates with a quick 7200 rpm and provides for astonishingly good rates. The access rate (16.9 ms) and throughput rate (65.9 MB/s) are regular, but the transfer rate is on a very high level (for HDDs) with an average of 78.7 MB/s. Booting times are pleasantly short because of that. 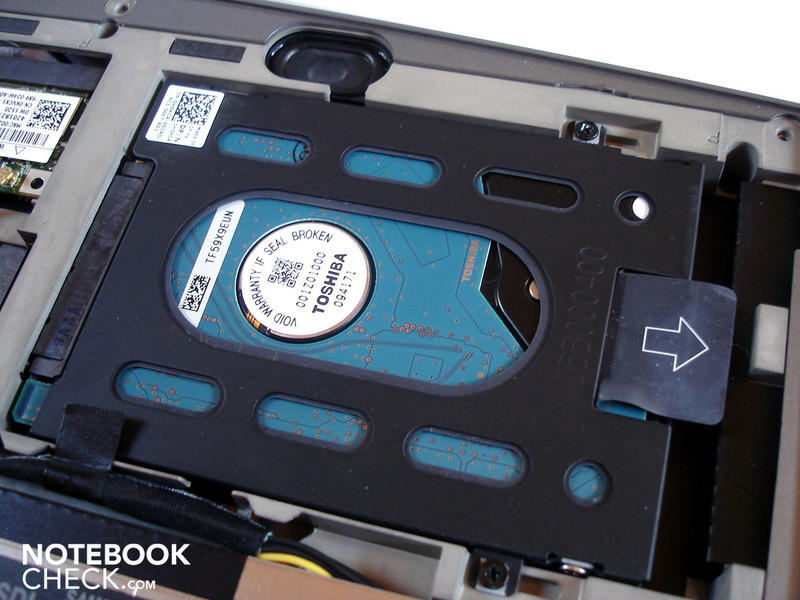 Unfortunately, Alienware has forgotten to divide the hard disk into several partitions - impractical. 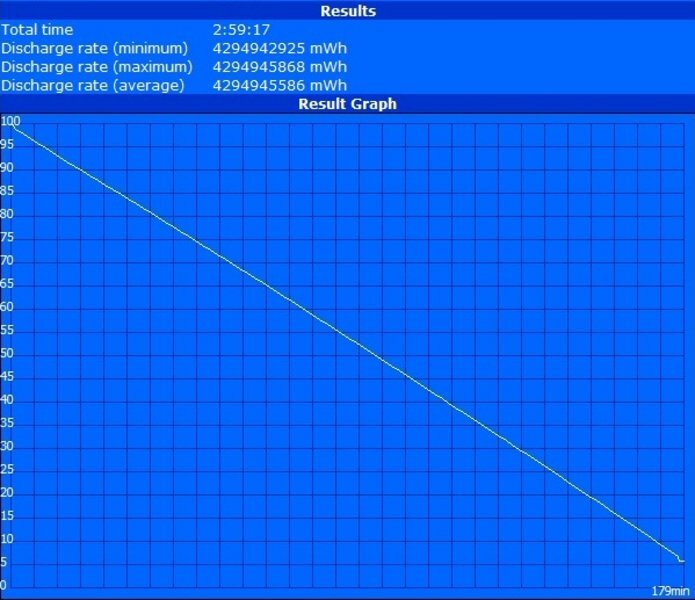 The GeForce GT 335M places itself at the top in Windows 7 performance index, with a good 6.5 points. 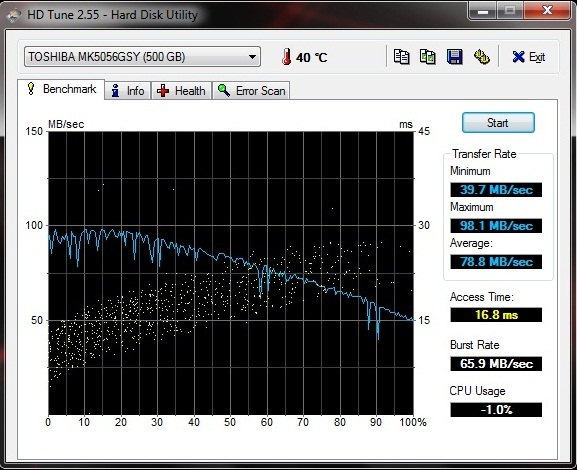 The hard disk follows with 5.9 and the RAM with 5.4 points - both good values. 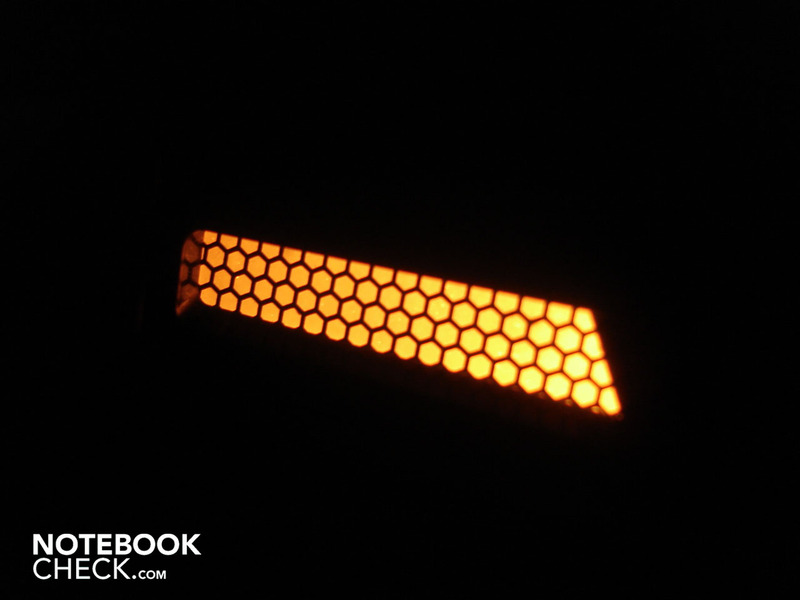 The Core 2 Duo SU7300 is the taillight with an average 4.6 points. It becomes obvious that the M11x's configuration isn't very balanced. 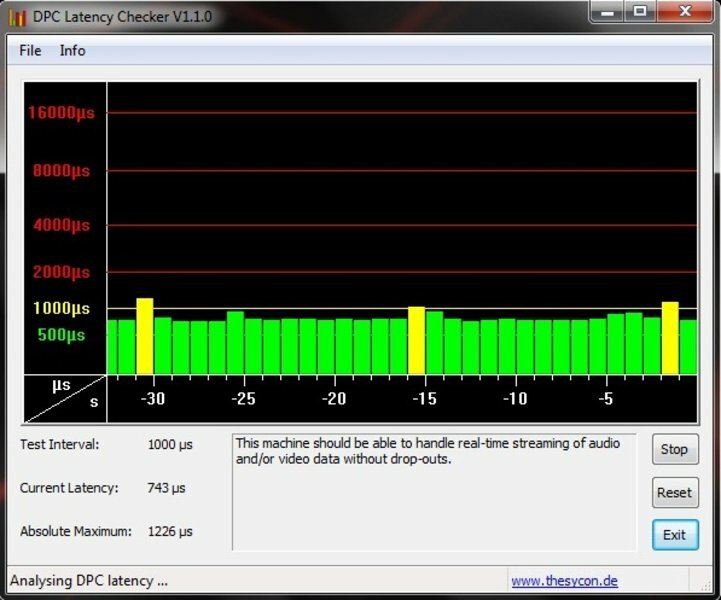 Too high latencies can lead to signal interruptions in audio and/or video transmissions when external devices are connected. The Alienware M11x probably will be spared from such problems because the latencies in our test never surpass the red field of over 2000µs in our tests, according to the DPC Latency Checker tool. Overall, the processor provides for an under average application performance, the graphic card, in opposition, for an over average application performance, whereby the total performance settles in a center field. Office and multimedia tasks, as well as multitasking (except for single audio and video interruptions) aren't usually a problem for the Core 2 Duo SU7300 and GeForce GT 335M array. However, we would like to see faster processor alternatives in the future. Infinity Ward's atmospheric shooter can also be adjusted for weaker system with help from various setting options. This setup isn't at all necessary for the M11x because the subnotebook also copes well in more demanding settings. Thus, a pleasantly smooth 38.6 fps are reached in medium details, a resolution of 1024x768 and 2x antialiasing. The performance decreases slightly to 34.7 fps in the native resolution of 1366x768, high details and 4x AA. 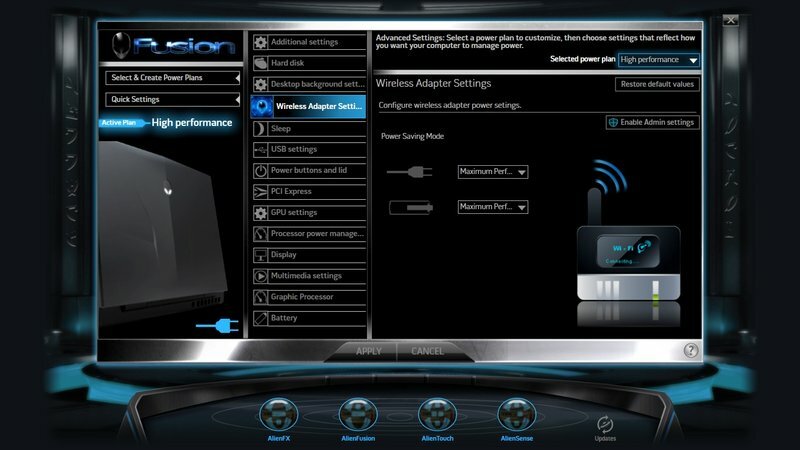 The ATI Mobility Radeon HD 4650, favored by manufacturers, is just as fast with the latter settings. Usually 30 fps are sufficient for a smooth image in strategy games. In relation to this, it can be played well with the M11x in a resolution of 1280x1024, very high details and 4x anisotropic filtering due to 31.9 fps. The HD 4650 has to admit clear defeat because it only achieves about 10 frames per second less, with 21 fps. As we now see in Need for Speed Shift and later in other tracks, a lot takes place in the field of 30 fps in the M11x. 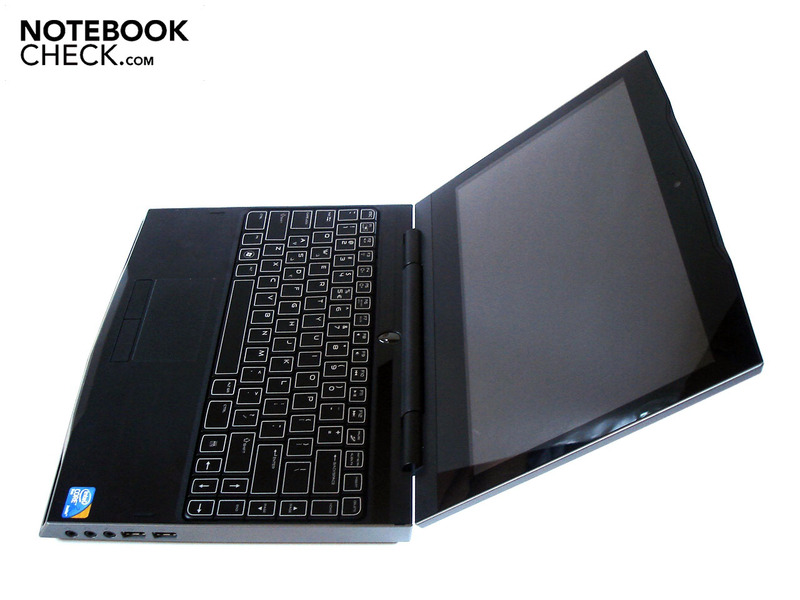 Thus, the subnotebook reaches a well playable 32.3 fps in a resolution of 1024x768, medium details and 2x AA. It's a marginally minor 30.2 fps in a resolution of 1366x768, high details and 4x AA. Here you can see how the CPU restricts in high details. The Radeon HD 4650 is, once again, inferior with almost 10 frames per second less. F.E.A.R. 2, the horror shooter developed by Monolith, is more willing to compute with various quality settings. The game runs as smooth as silk on the display in medium details, a resolution of 1024x768 and 2x AA with 46.9 fps. It can still be played pleasantly even in high details, a resolution of 1280x1024 and 4x AA, thanks to 36.8 fps. F.E.A.R. 2 is actually ATI territory, though and therefore the Radeon HD 4650 can gain a bit of ground with 44 fps. 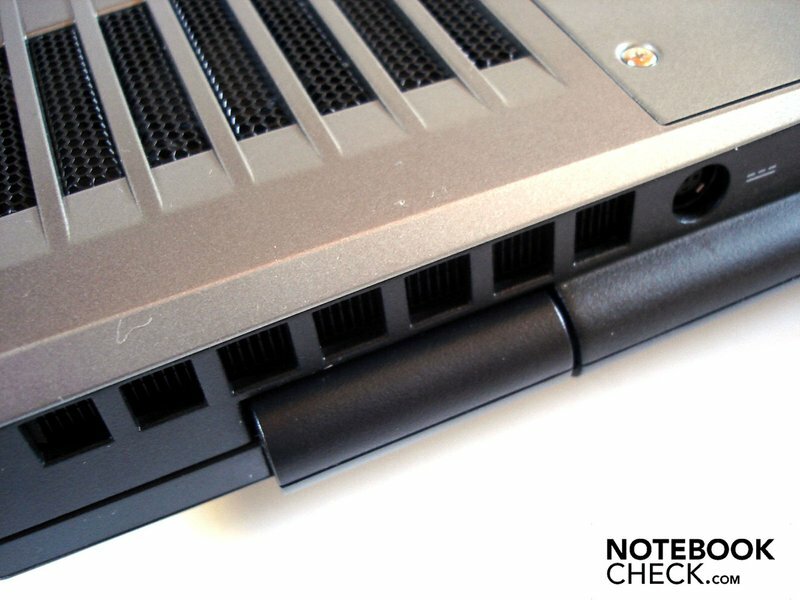 Risen runs perfectly on powerful desktop systems, but the German role game causes performance problems on most notebooks. Thus, a still adequate refresh rate of 29.4 fps results in a resolution of 1024x768, medium details and 2x AF. In return, resolution of 1366x768, high details and 4x AF are expressed as an almost unplayable 21.2 fps. 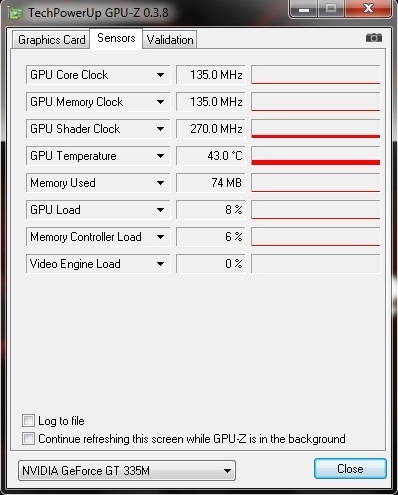 The Radeon HD 4650 also has its problems and reaches an identical 21 fps. Ubisoft's Africa shooter, FarCry 2, had admittedly been rather weak in game but could, in return, impress with its technology. 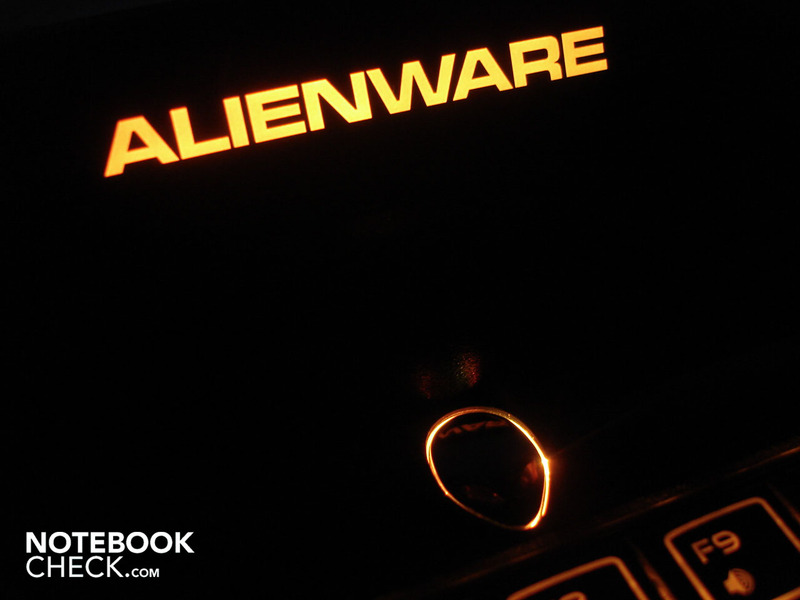 We've exposed the Alienware M11x to high details in a resolution of 1024x768 in the integrated DirectX 10 benchmark. The result is an adequate 31.1 fps. For a change, a comparison to the new and DirectX 11 capable ATI Mobility Radeon HD 5650: It is significantly faster with an average of 45 fps. The shooter, Crysis, already released in 2007 still represents one of the biggest trials for computer systems. The M11x can still boast with a relatively smooth game in medium details and a resolution of 1024x768 with 30.0 fps in the CPU and 34.8 fps in the GPU benchmark. You shouldn't demand high details from the M11x even in the fairly low resolution of 1024x768, though. Everything is said with a meager 20.7 fps in the CPU and 22.7 fps in the GPU benchmark. The Radeon HD 4650 takes an evident lead in the GPU runthrough with an average of 28 fps. Dirt 2 will go down in history as one of the first games with DirectX 11 support. Dirt 2 can be played properly in both a resolution of 1024x768 and medium details (34.8 fps), as well as in a resolution of 1366x768, high details and 2x AA (33.1 fps). The Radeon HD 4670 can distance itself evidently in medium details (due to a faster CPU) with 43.6 fps. Competing graphic cards, such as the Radeon HD 4650, HD 4670 and HD 5650, can partly distinguish themselves considerably from the GeForce GT 335M in low and medium detail levels. 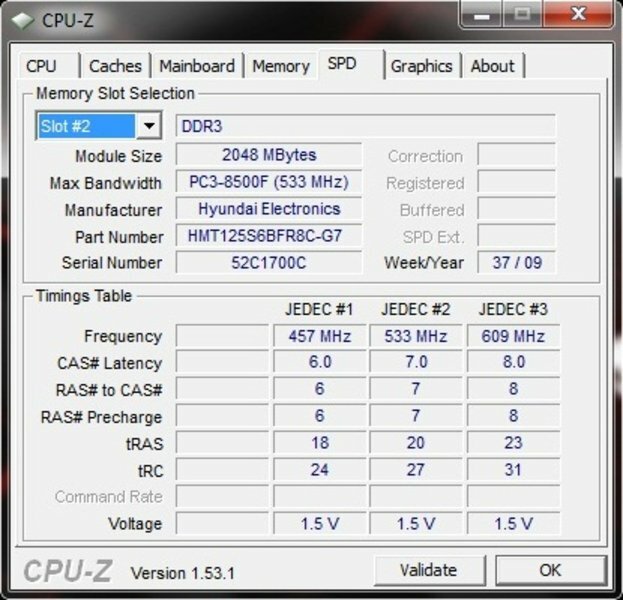 The reason for this is mainly because the relatively weak Core 2 Duo SU7300 processor restricts the performance. The GeForce GT 335M, with an average of 28.4 fps, can position itself right between a Radeon HD 4650 (27.6 fps) and a Radeon HD 4670 (31.7 fps) in high quality settings, where the graphic card predominantly calls the shots and decides about "to be or not to be". Generally, many current tracks can be played quite smoothly on the M11x in high details and the native resolution of 1366x768. However, you'll have to fall back on the medium detail level and/or forgo on quality enhancements like antialiasing, as well as anisotropic filtering, for a few tracks. 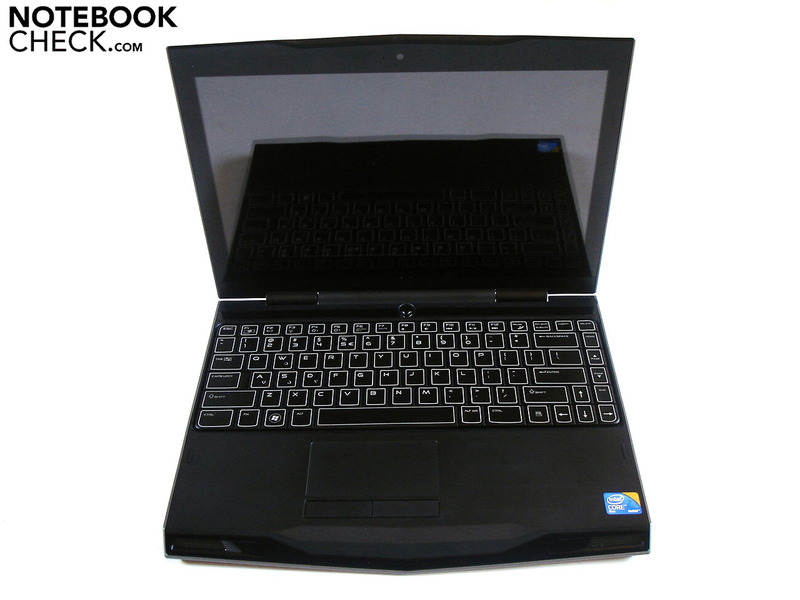 Nevertheless, the given gaming performance is throughout impressive for a subnotebook. The Alienware M11x is generally only slightly audible in idle mode with 31.9 dB(A), so still quite silent. Unfortunately, the fan turns up to a very audible 37.6 dB(A) (without an obvious reason and for a longer period). The noise level increases again under load and reaches a range between a very audible 39.8 dB(A) and an almost disagreeable and disturbingly loud 45.1 dB(A). 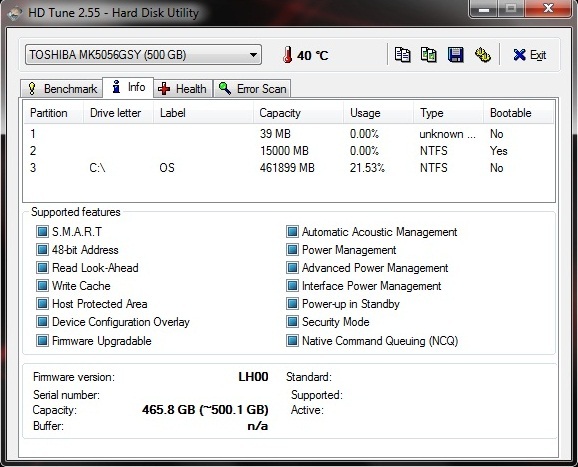 Merely the hard disk stays pleasantly in the background with around 32.0 dB(A). 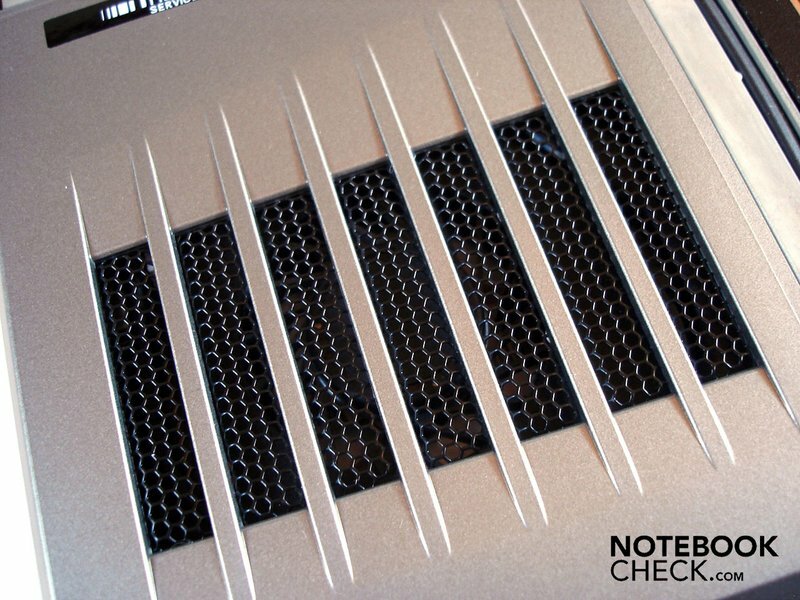 Gamers might be accustomed to this sound level in a way, but the fan is far too present for a subnotebook. 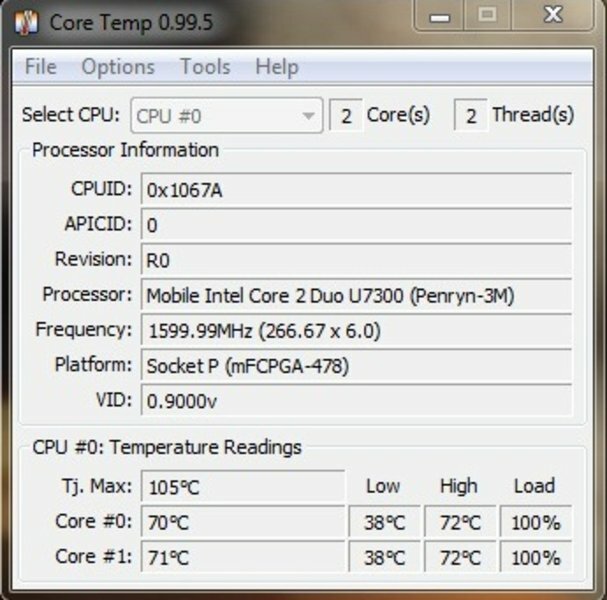 The M11x's temperatures are alright, at least in idle mode. Thus, a maximum of 37.1°C is reached on the bottom, whereas the upper side can heat up to 34.8°C. The temperature on the bottom heats up noticeably to a hot 43.1°C under load. The upper side stays a bit cooler with 41.5°C but this maximum temperature is just in the area that will affect the user most: the wrist-rest's left side. The hand gets notably warm, which could already be sensed as unpleasant for a few users. Let's take a look inside. 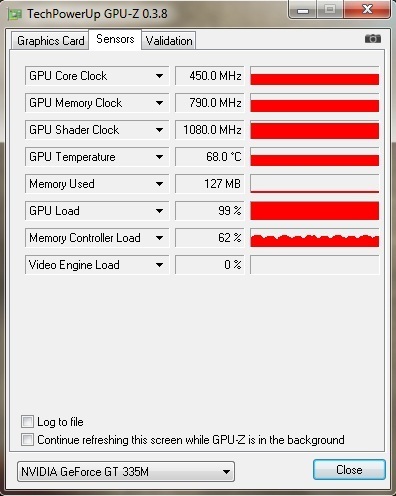 The graphic card always stays within a green field, both in idle mode with about 43°C and under full load (Prime + Furmark) with about 68°C. The CPU also doesn't give reason for reproach. 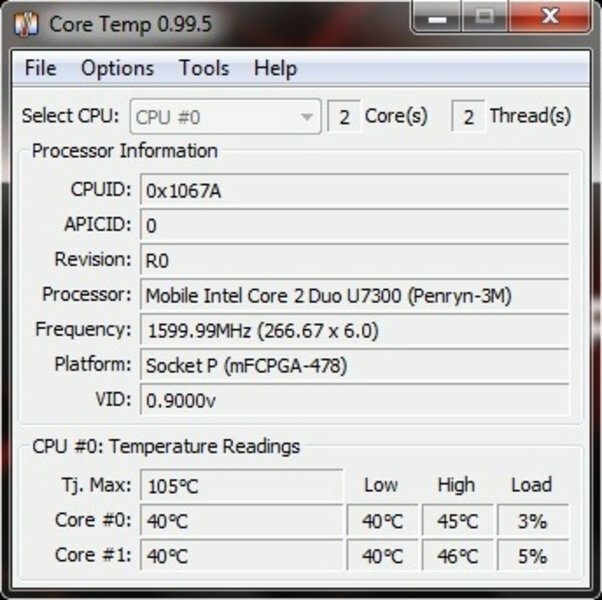 Whilst the Core 2 Duo SU7300 reaches around 40°C in idle mode, the temperature increases to a completely unalarming 70°C under full load. So you can see: there is still a lot of room upwards in regards to temperature, and that opens the possibility for stronger processors. Most of the latest CPUs can cope with around 100°C, although you naturally shouldn't push such rates to the limit in view of durability. (±) The average temperature for the upper side under maximal load is 35.7 °C / 96 F, compared to the average of 30.7 °C / 87 F for the devices in the class Subnotebook. 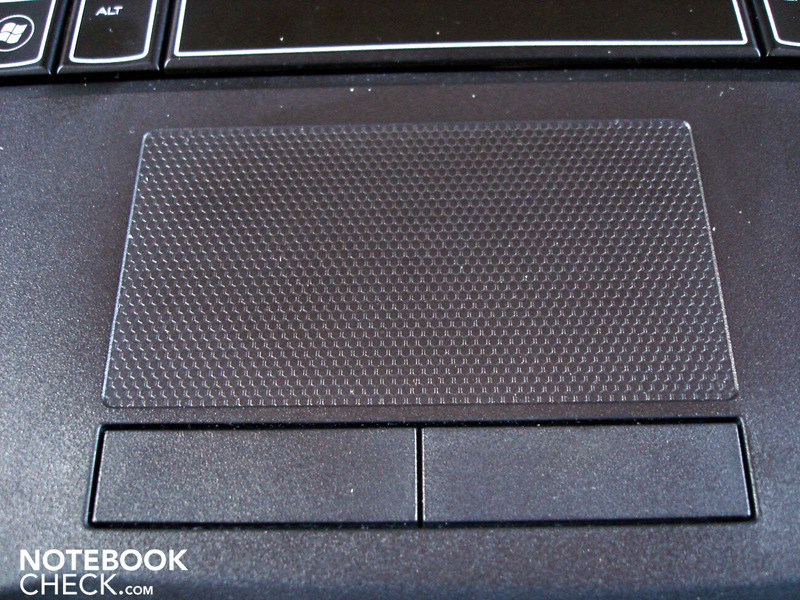 (-) The average temperature of the palmrest area of similar devices was 28.6 °C / 83.5 F (-12.9 °C / -23.2 F). The expectations for the sound quality of such a small notebook are naturally rather low. However, as we've already heard in the bigger M15x and M17x models, Alienware knows how to make the best of the given circumstances. The sound appears quite dampened and prone to deep pitches, but the maximum volume is impressive and the sound presents itself as very powerful and dynamic. But you shouldn't overdo it because otherwise unpleasant static noise and a generally unclean sound are emitted from the loudspeakers built-in on the front. 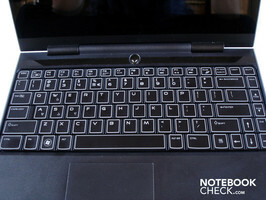 Summarizing, all sound qualities of the M11x are reasonable and even quite good for the subnotebook class. Nevertheless, you should use external loudspeakers if possible. 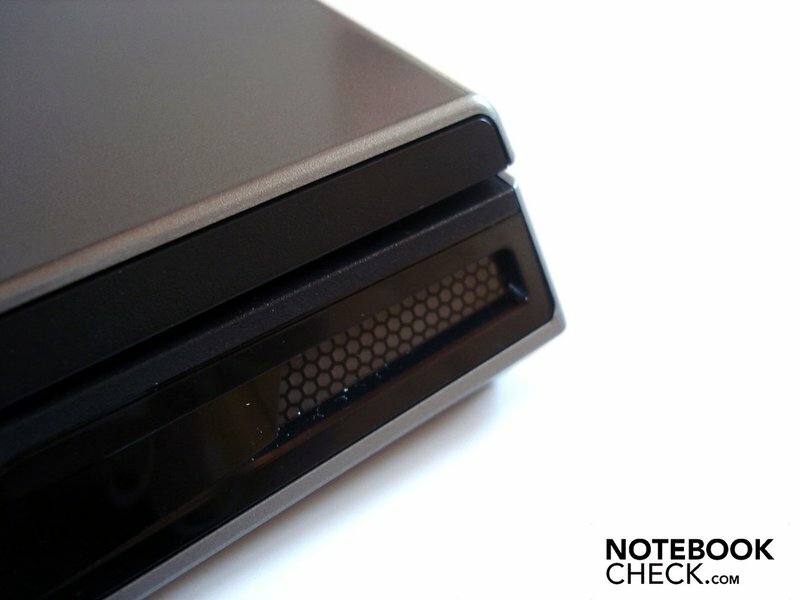 Before we dedicate ourselves to the battery life, we would like to express our regret about the fastened battery that is hidden underneath the base plate. 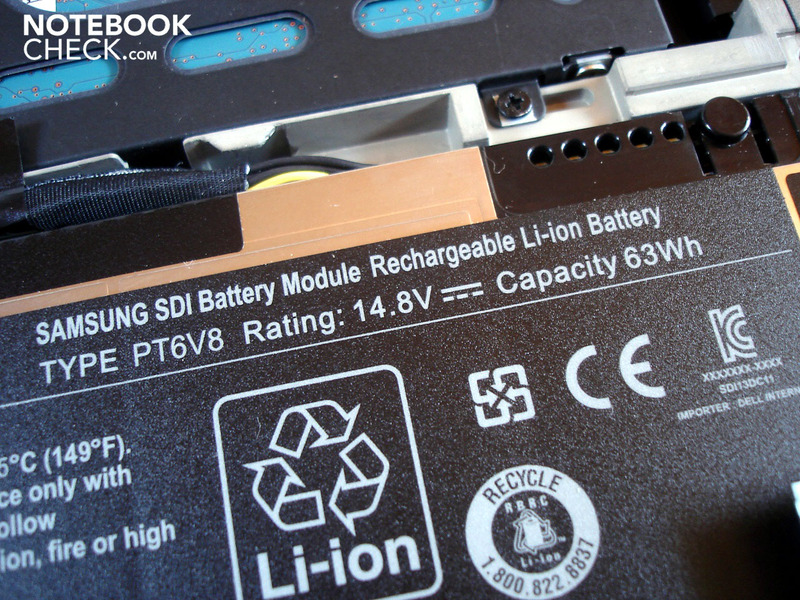 Of course, it's difficult to implement a removable battery, in regards to stability, into subnotebooks and netbooks. But this intention isn't impossible as other manufacturers have proved (e.g. see the Tohsiba Satellite T110 review). But now enough of that because the flat eight cell lithium ion battery from Samsung (63 Wh) provides for impressive runtimes. 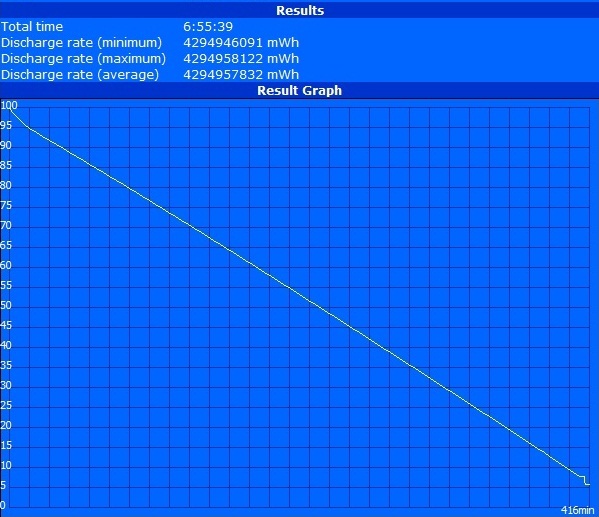 The runtime rockets almost over the seven hour mark with 6 hours and 56 minutes in idle mode (BatteryEater Reader's test) with maximum energy savings options and minimum brightness. 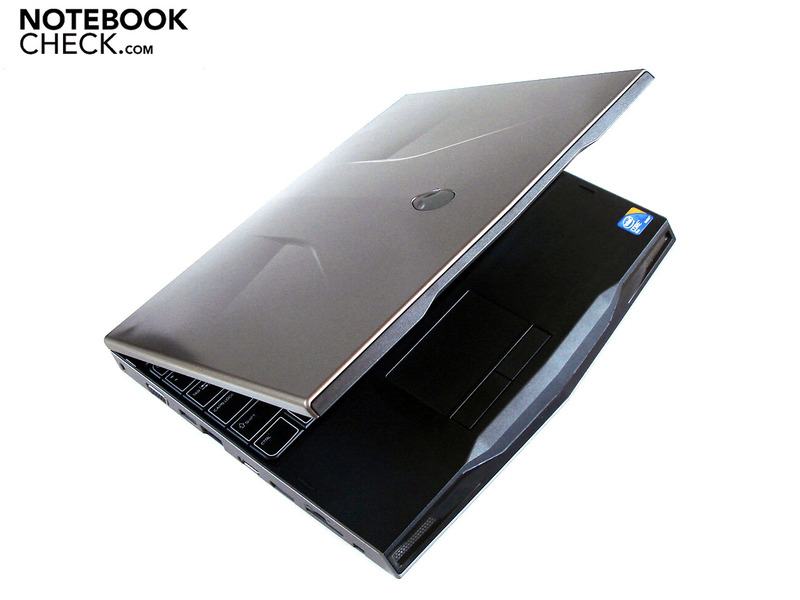 The notebook even still achieves an awesome 5 hours and 30 minutes while surfing in the internet with maximum brightness and medium energy savings options. Even video rendering (avi.file) is electrifying with 4 hours and 20 minutes. Great: This means two movies or several episodes of your favorite series aren't a problem. Even under high load (BatteryEater's Classic test) with maximum brightness and disabled energy savings options, the runtime sticks to the three hour mark with 2 hours and 59 minutes. In short: No matter what your intentions are with the Alienware M11x remote from the mains, the battery life shouldn't be a problem. Note: The case illumination was always on, apart from the idle test. Additionally, all runtimes were executed with an enabled integrated graphic unit, with exception of the load test. We measured the power consumption with the integrated Intel GMA 4500MHD and with the dedicated GeForce GT 335M individually. The M11x proves to always be very modest with the GMA 4500. Rates between 14.0 and 16.7 watts in idle mode, or rather 30.1 and 32.1 watts under load are evidence of a power saving system. It's mainly the consumption under load that increases with the GeForce GT335M, where the M11x treats itself to between 41.8 and 50.9 watts. Finally, it's between 15.2 and 17.4 watts in idle mode, thus barely any more than with the integrated graphic unit. The consumption in a deactivated state (0.2 watts) and in standby mode (0.3 watts) is equal for both. 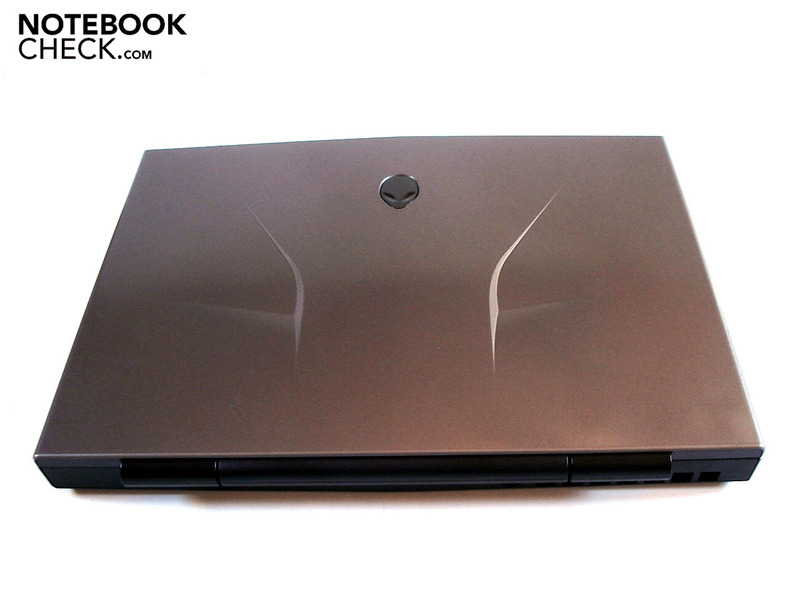 Alienware celebrates its worthy debut into a portable subnotebook size with the strong and unique M11x. 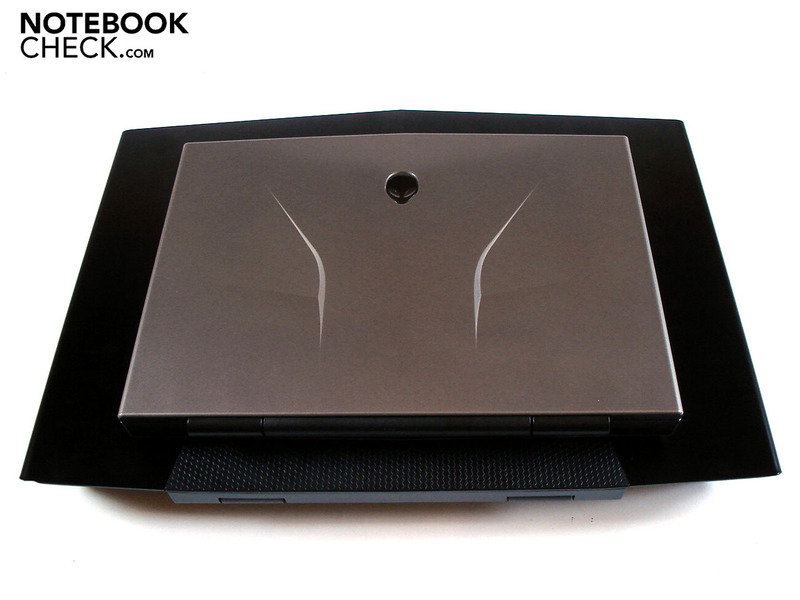 As usual for Alienware, there's not much room for complaint in view of the excellent design, the almost perfect workmanship and extensive configuration. 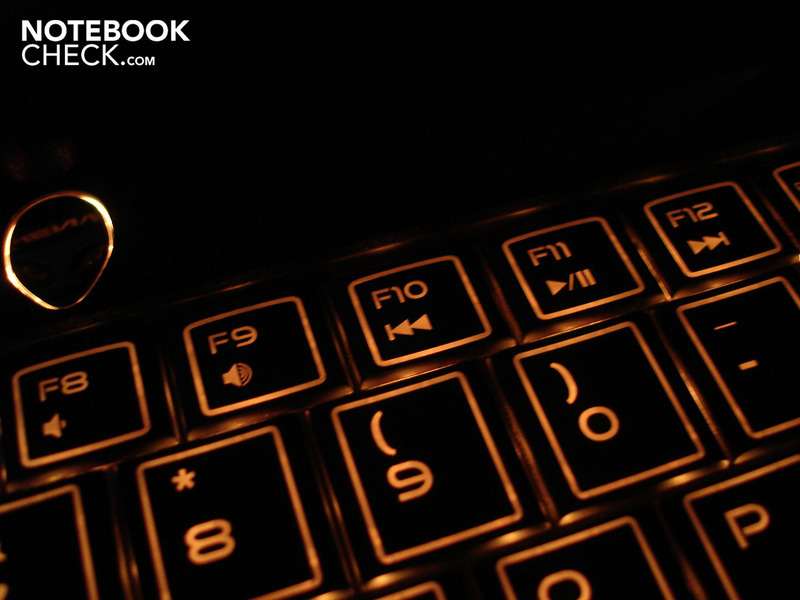 Additionally, the good input devices, the fast hard disk and the chic lighting elements are able to impress. The biggest advantage is, however, the very long battery life, which easily manages several hours independent of the application field. Unfortunately, the battery is screwed to the case and can only be removed inconveniently. We would wish for a removable alternative in future here. The disappointing display is just as much in need of improvement. Disagreeable reflections turn up in daylight because of the meager brightness of 157.5 cd/m2 and the used glossy coating and you can barely recognize anything on the screen, especially in dark scenes. Considering the M11x would actually be perfect for mobile use with its light weight of 2.03 kilograms and its small dimensions, it's not least for that reason a shame. 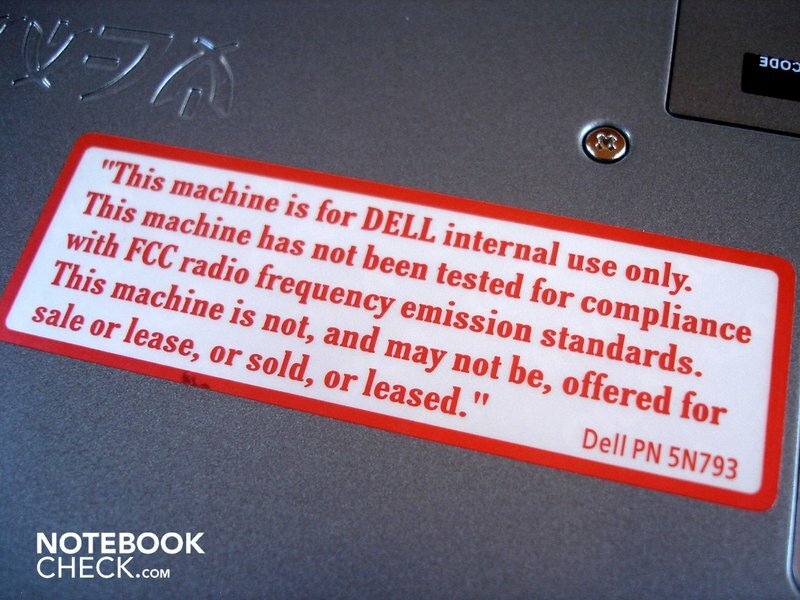 Alienware must definitely make improvements in regards to this. 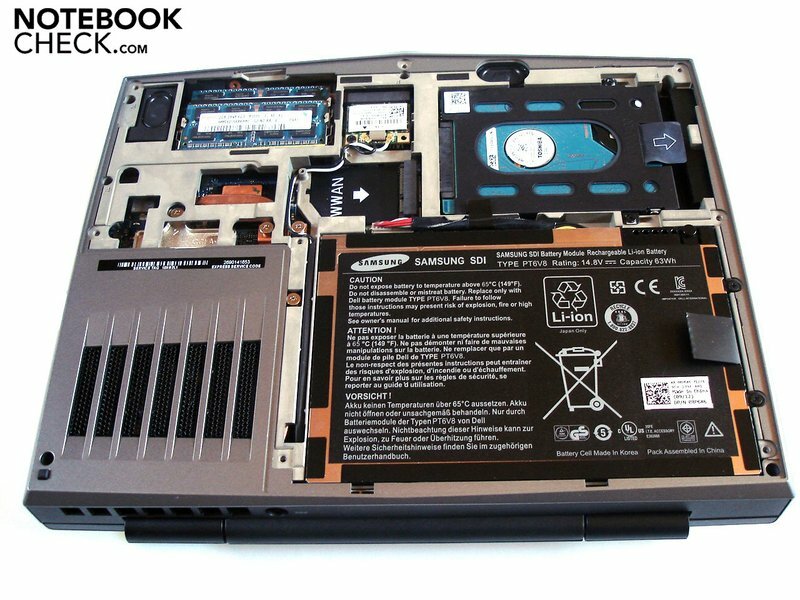 The performance of the power saving Core 2 Duo SU7300 and the fairly efficient GeForce GT 335M is excellent for a subnotebook, but gamers will often push the M11x to its limit because of the low clocked processor. Therefore, more processor options would be desirable for a potential platform refresh. Basically, the M11x is sitting on a fence. 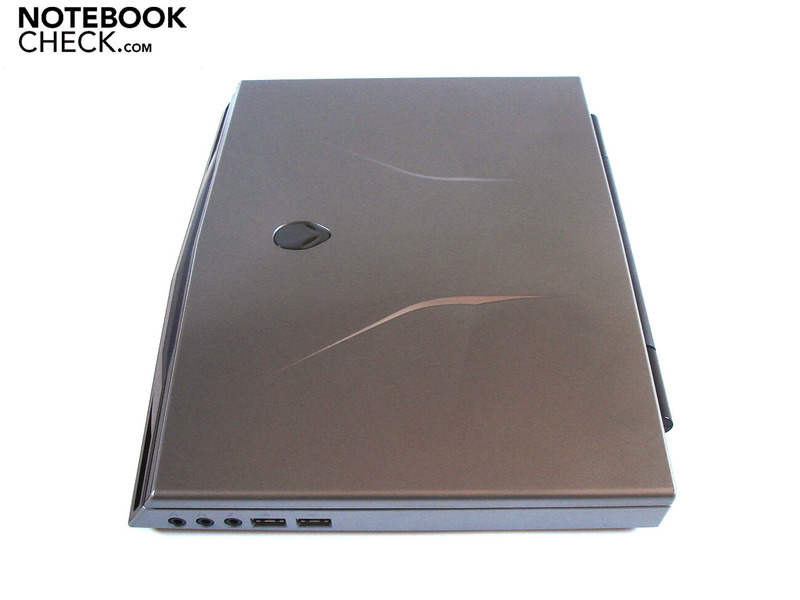 The temperature and noise development is almost too high for a subnotebook but the built-in processor is too weak for a gaming notebook. You can definitely take the M11x if you're looking for a powerful and portable subnotebook with a very good battery life. However, you shouldn't be bothered too much by an intensely reflective display and the somewhat too high volume and temperature. Peek-a-boo! 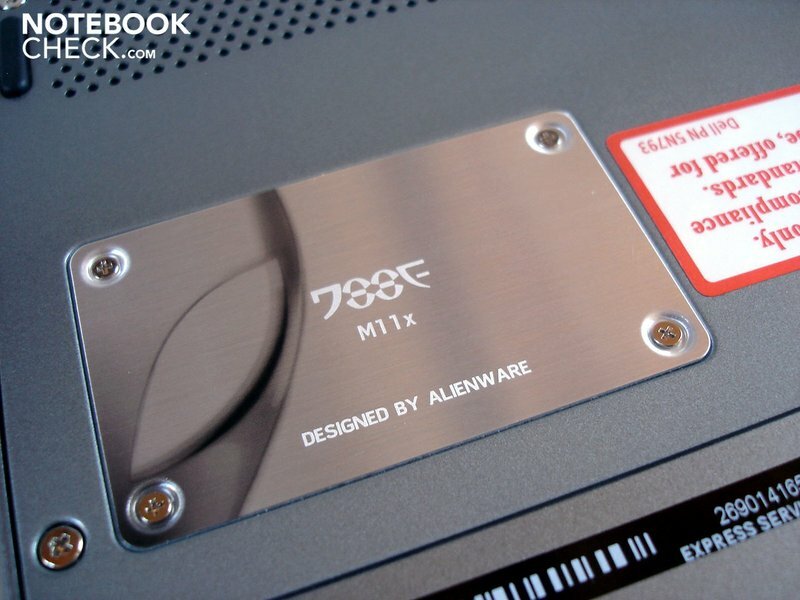 What's that hiding in the M17x? However, the M11x doesn't seem to be so "angular"
The great case with its perfect stability and workmanship, as well as its chic design. Furthermore, the extensive lighting and the relatively lavish connectivity. Not least, the fairly good application and gaming performance, just like the impressive input devices. A processor with a somewhat higher clock rate (e.g. 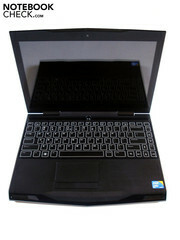 the Core 2 Duo P7350). Also a display with a better luminosity, a fan that is more silent (under load) and especially a removable battery! The very reflective display with its poor luminosity is more than aggravating, and is in no way suitable for outdoor use. 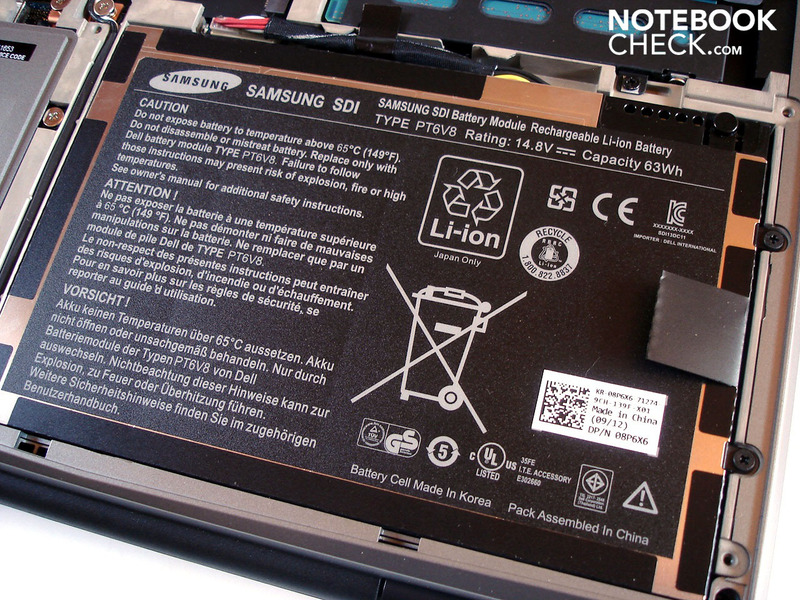 The long battery life, despite the rather powerful components (for this notebook category). 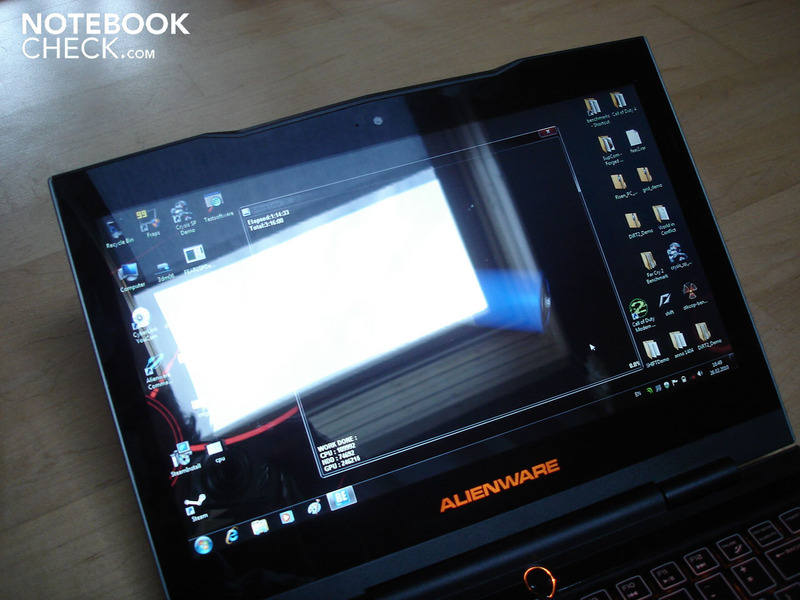 In fact, you don't see almost 7 hours in a gaming capable notebook every day. Above that, Toshiba's built-in hard disk is surprisingly fast. There aren't actually any. 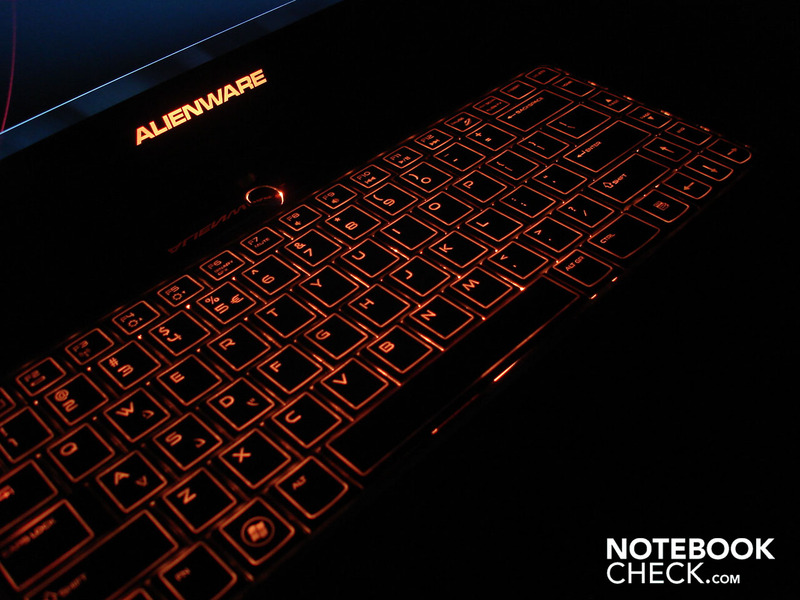 The Alienware M11x has cleverly settled into a market niche - that of the currently rather thinly equipped gaming capable notebooks.